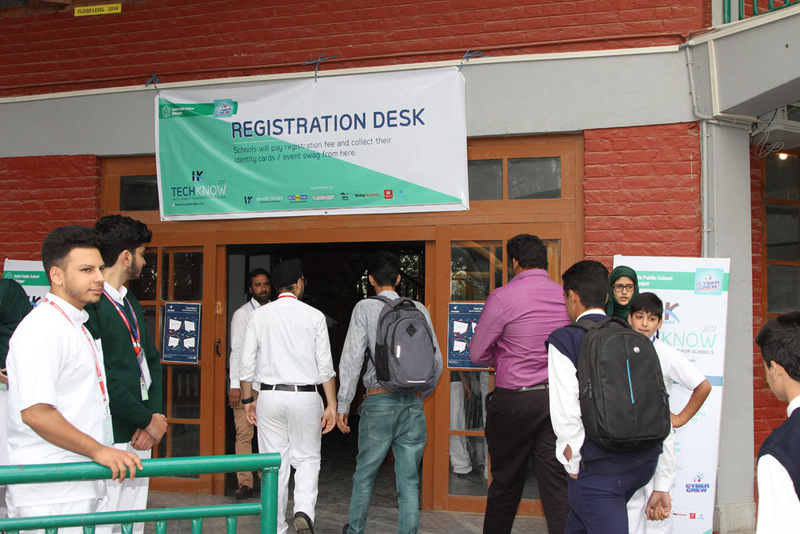 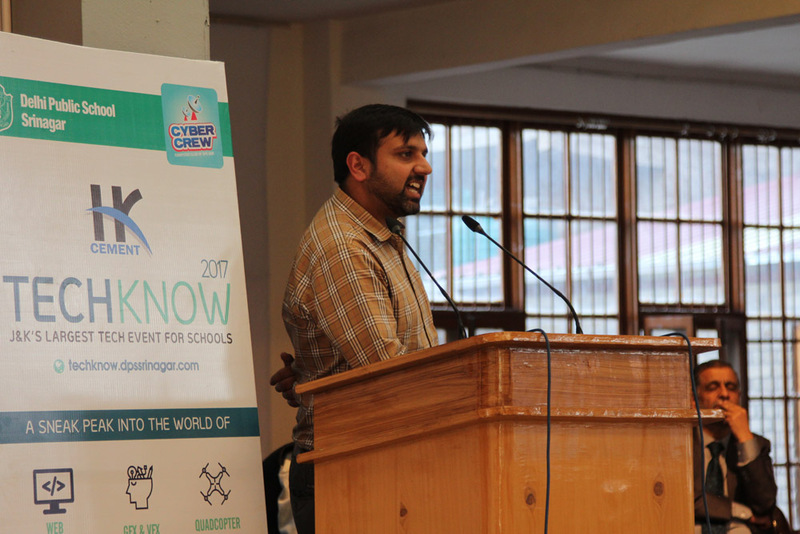 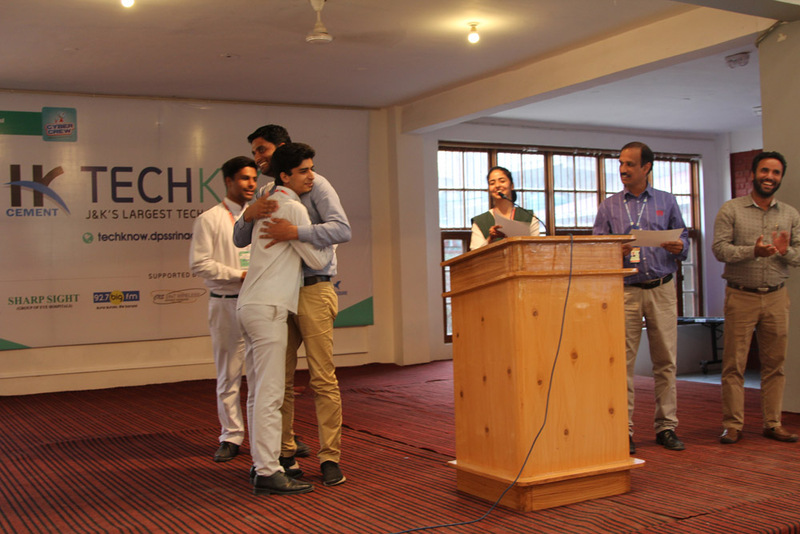 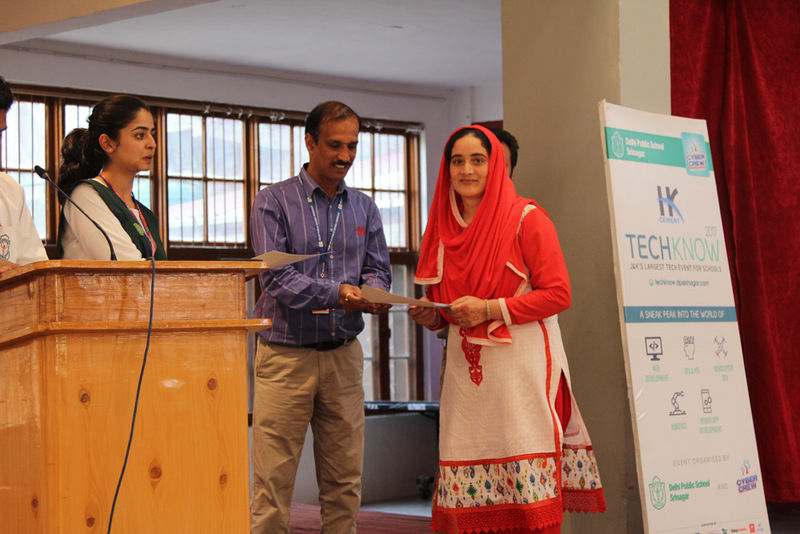 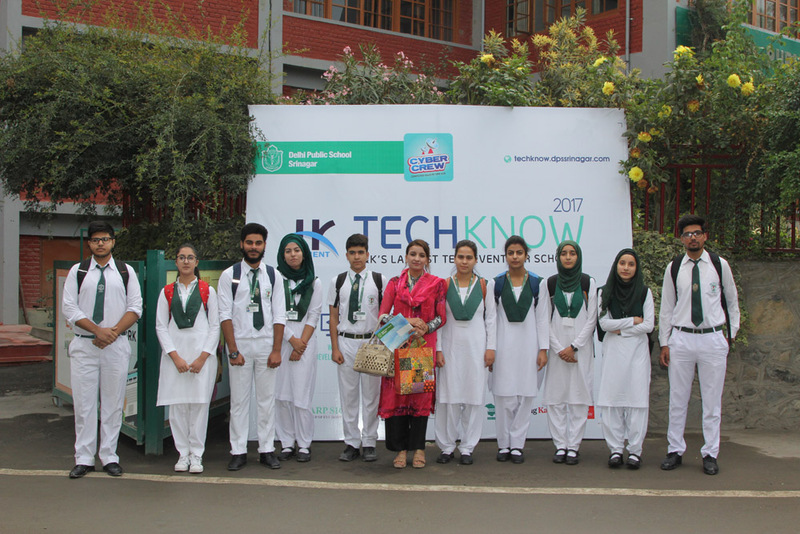 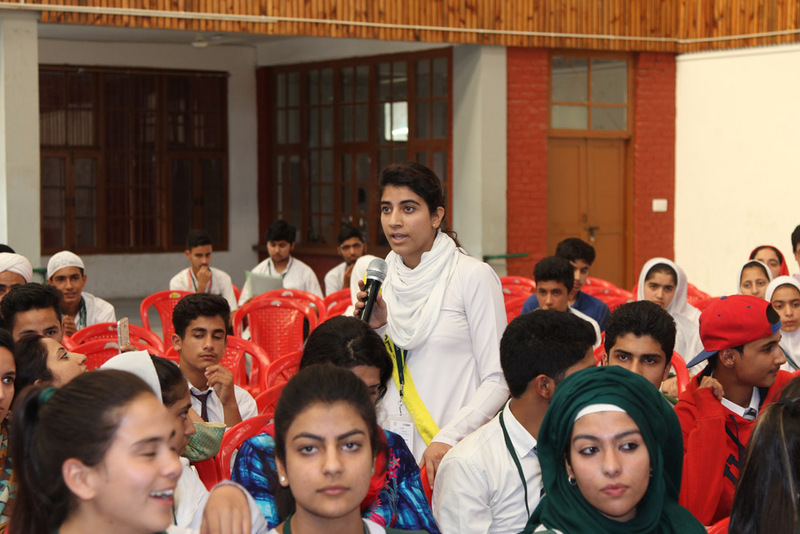 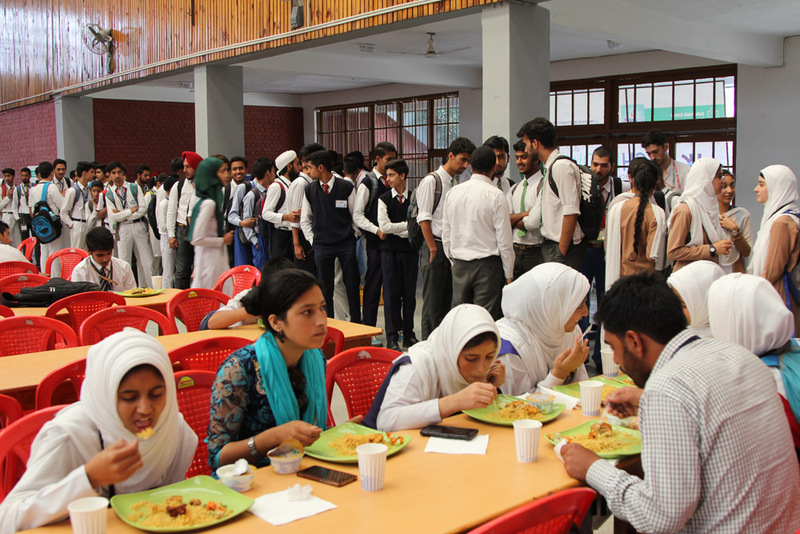 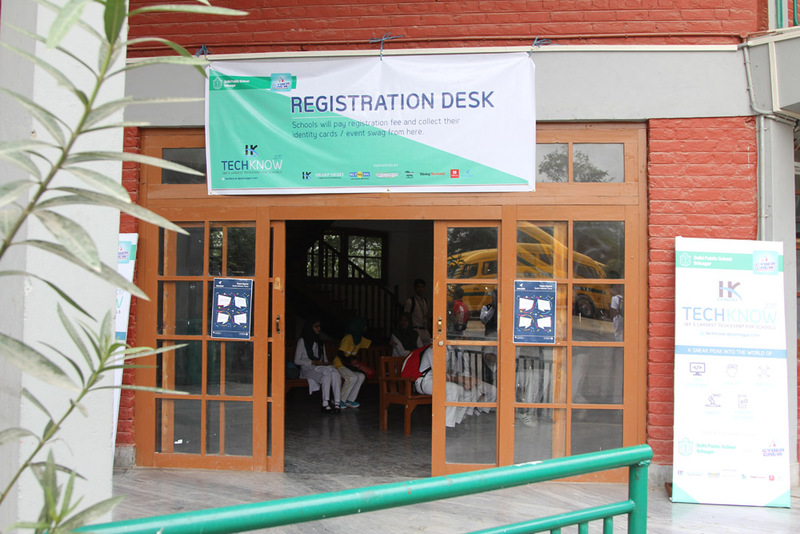 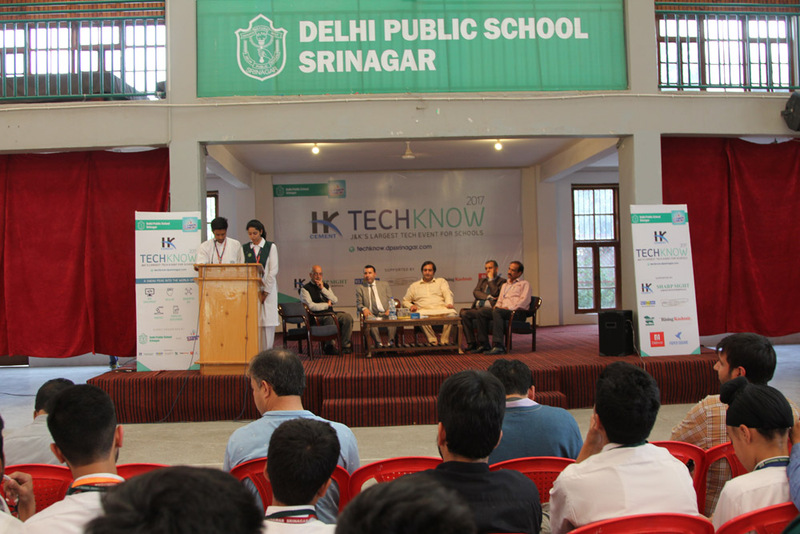 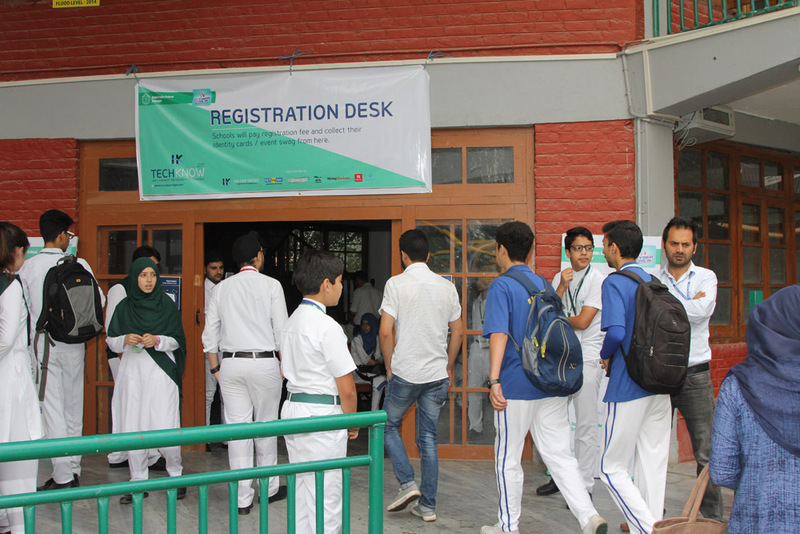 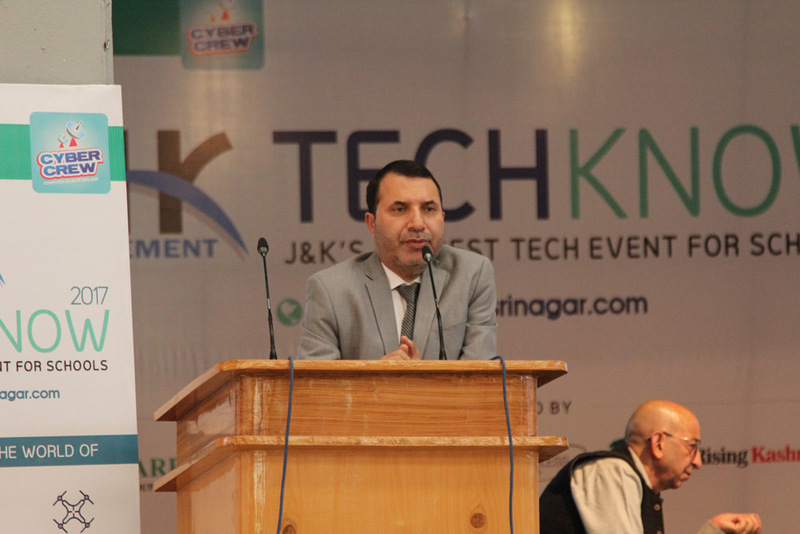 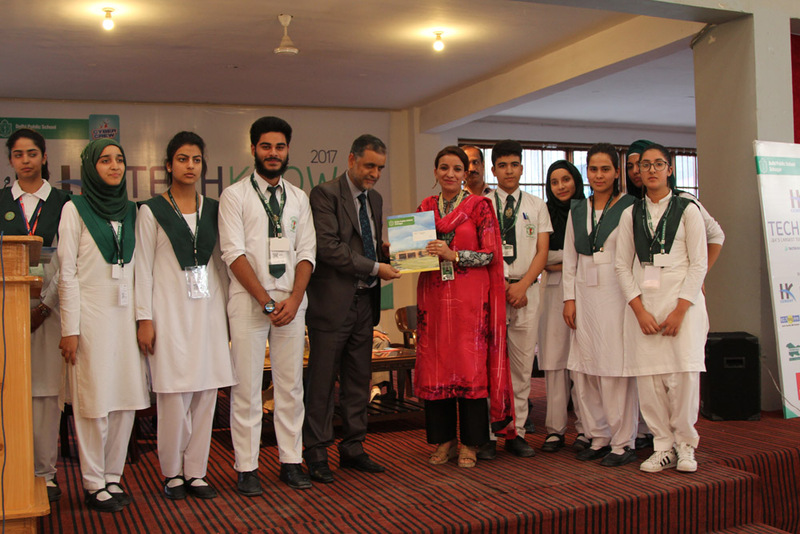 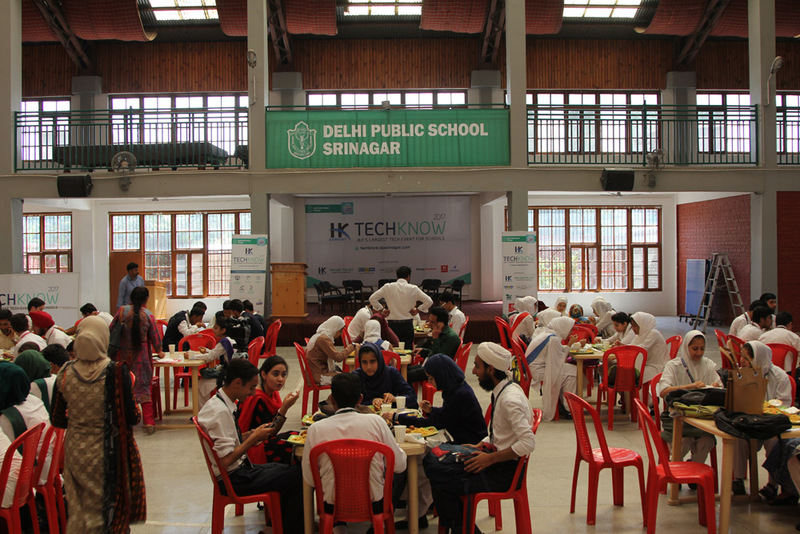 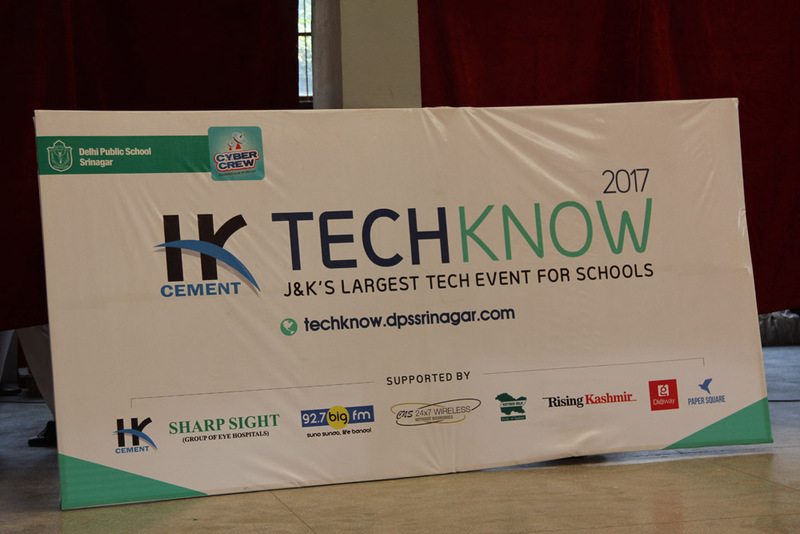 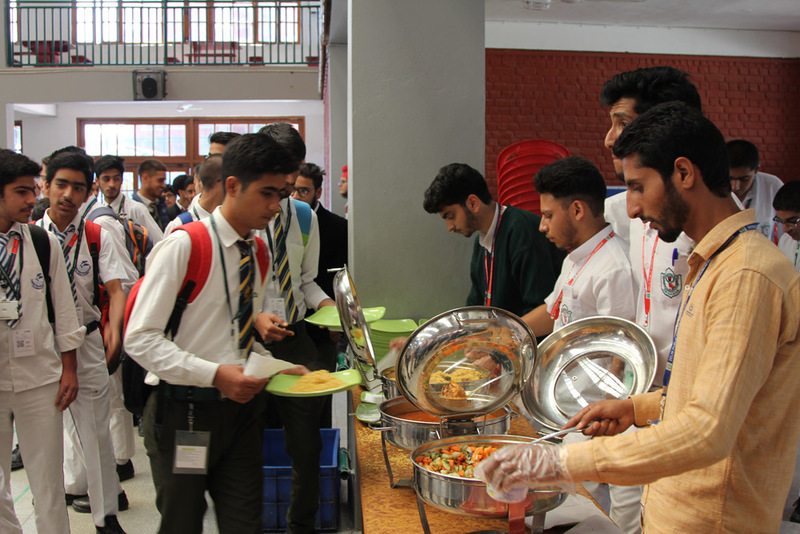 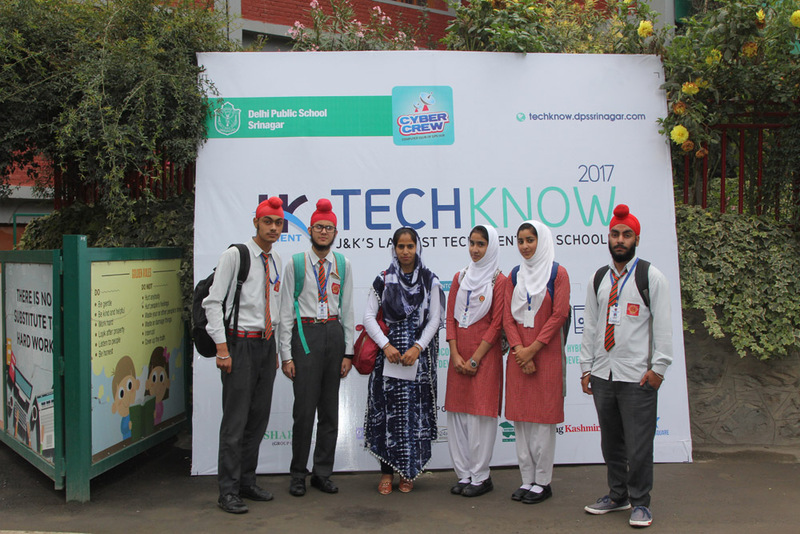 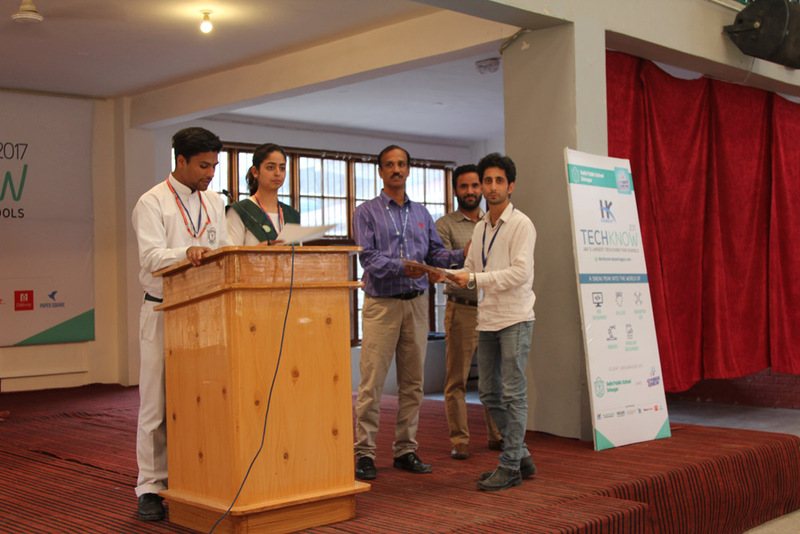 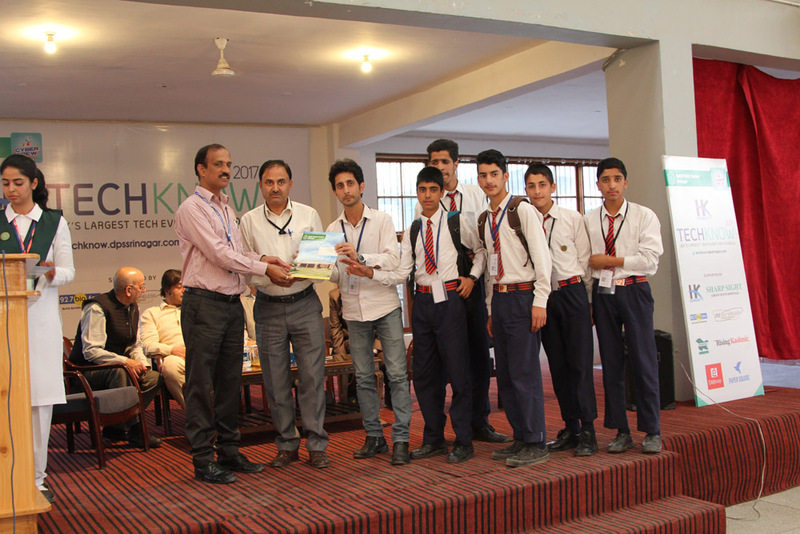 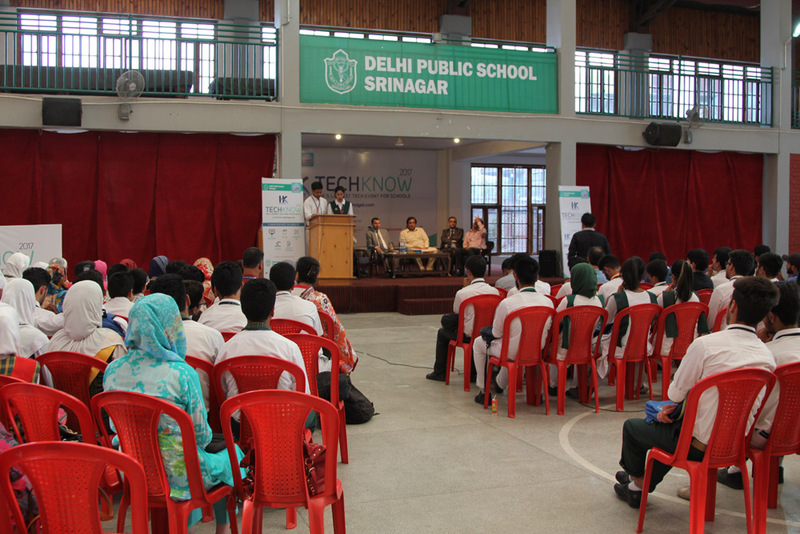 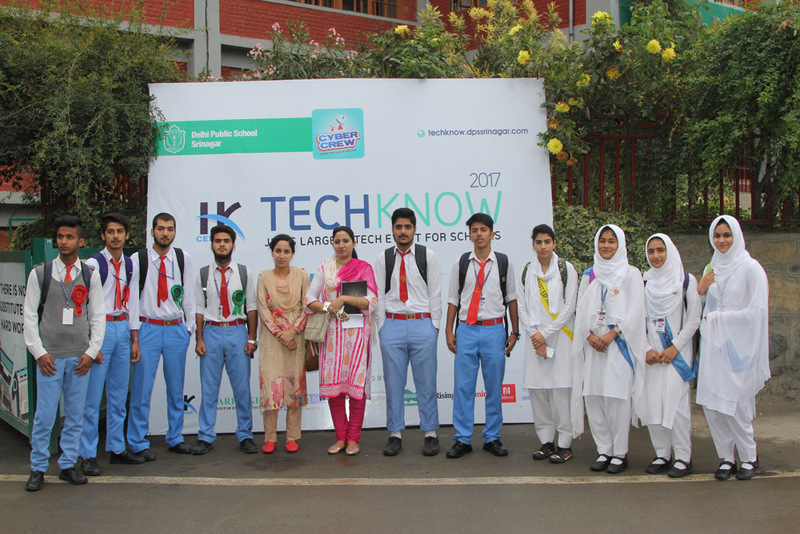 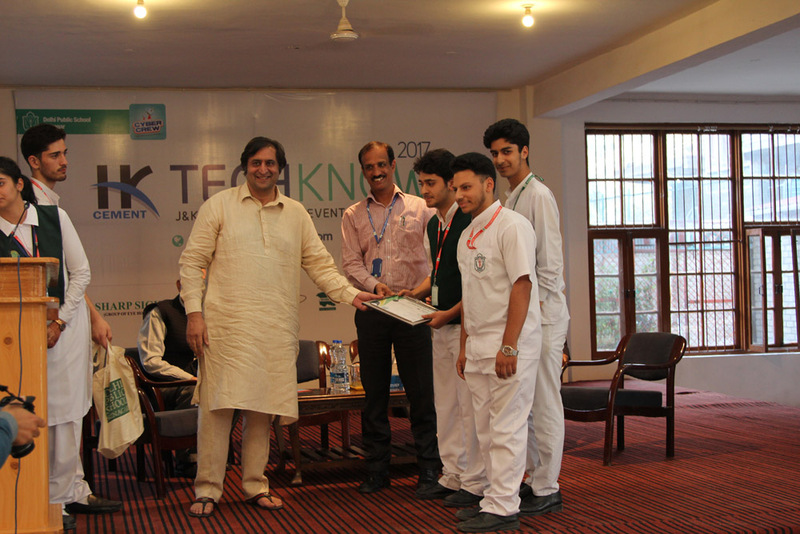 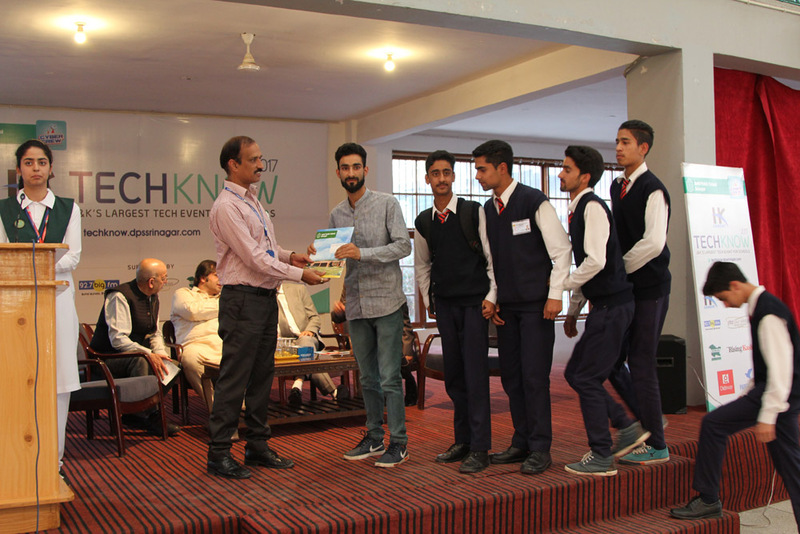 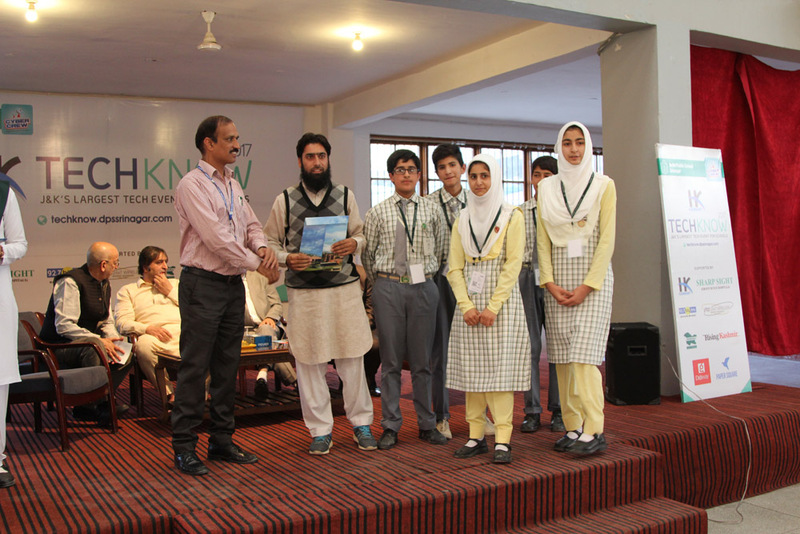 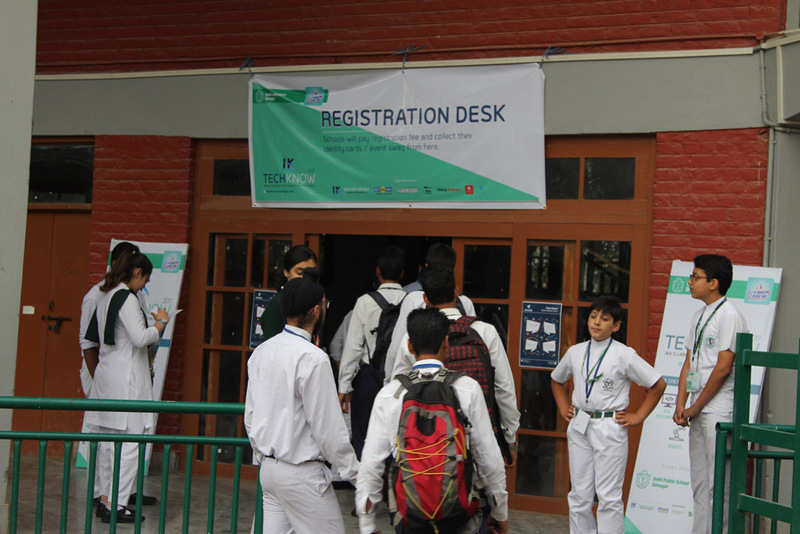 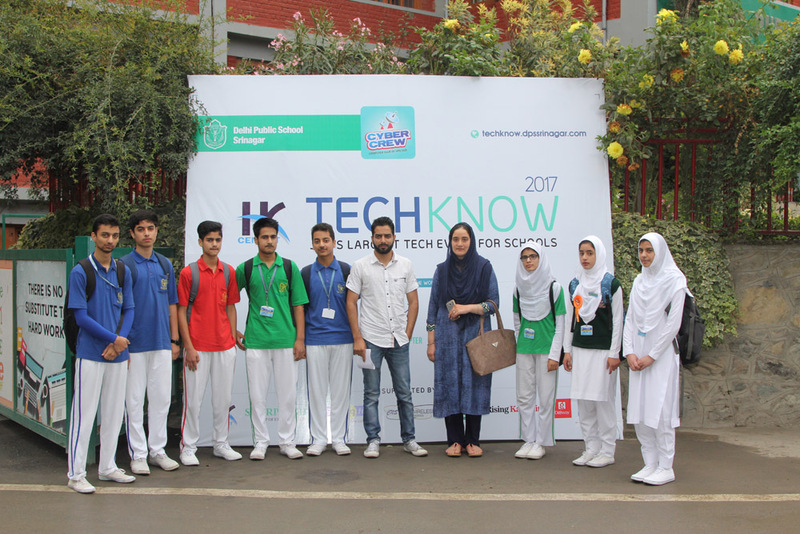 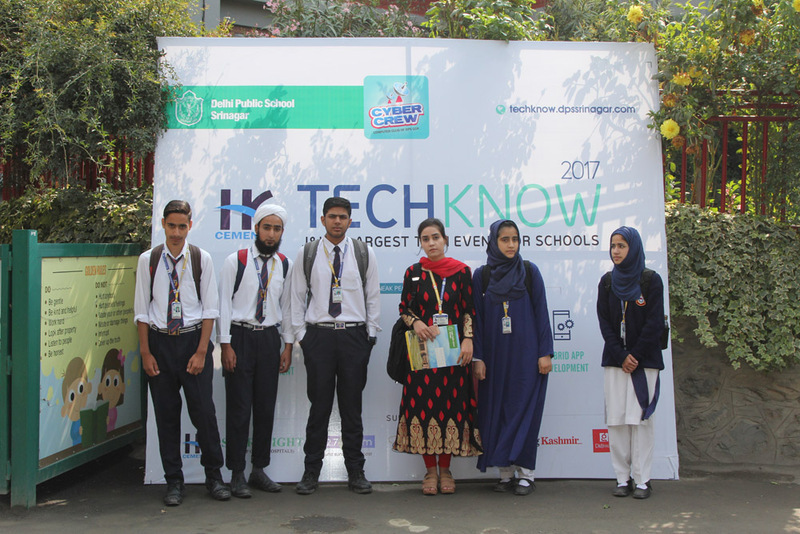 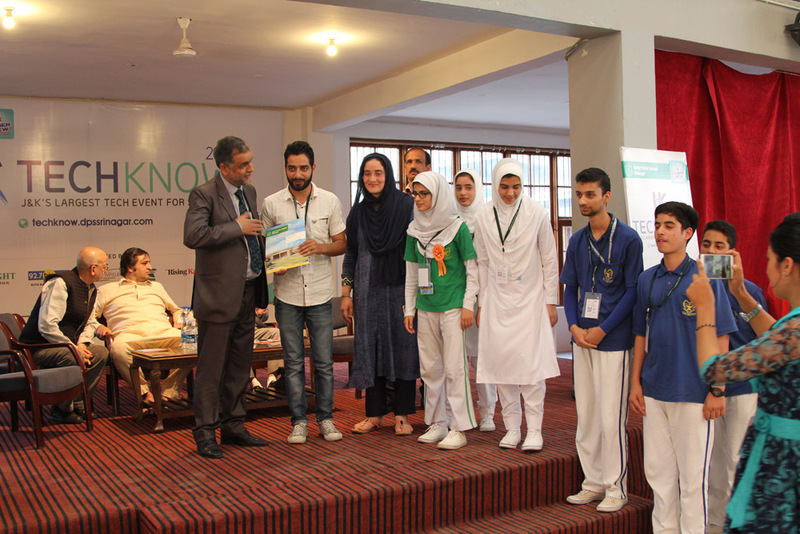 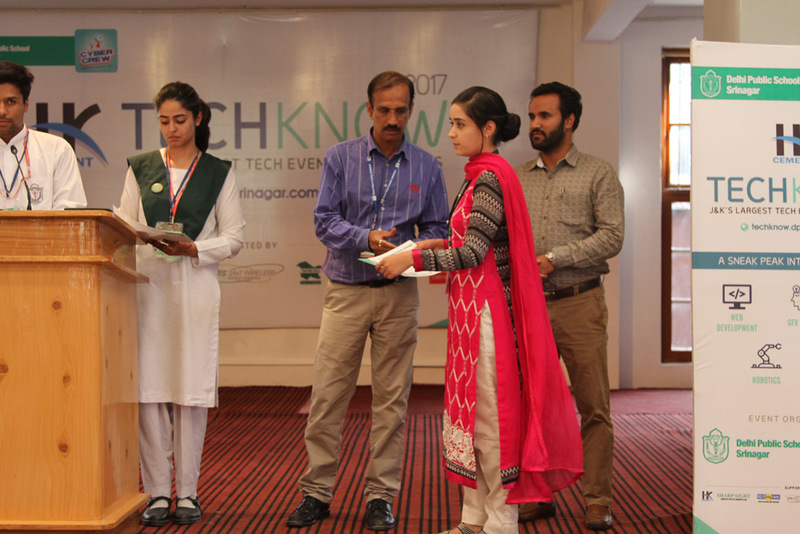 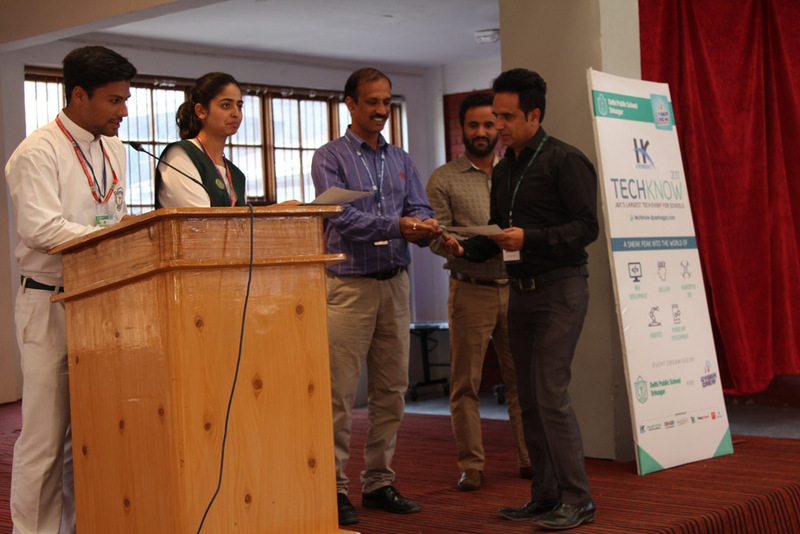 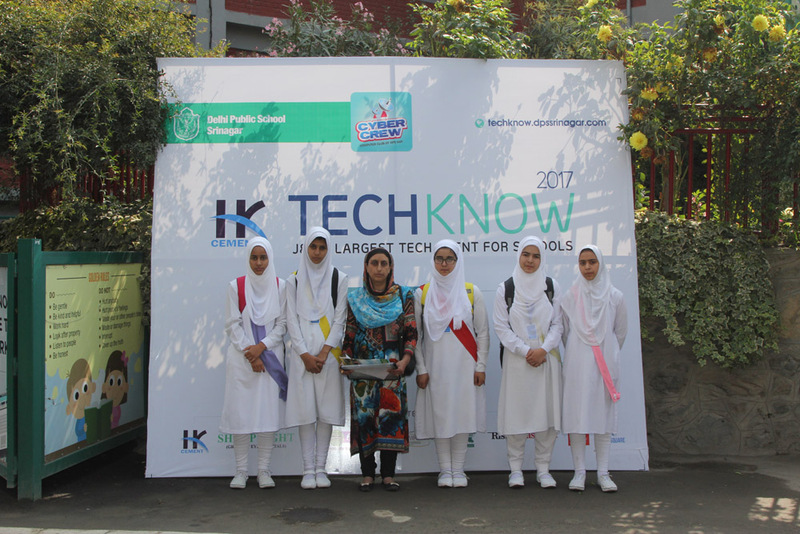 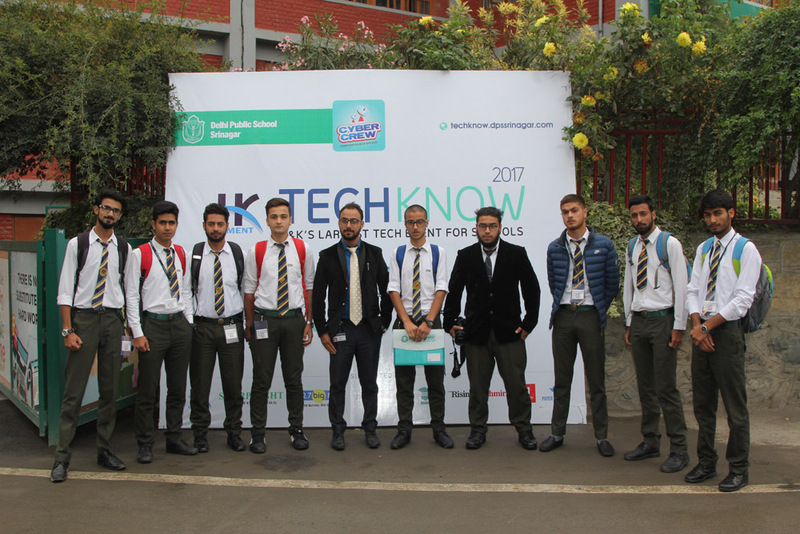 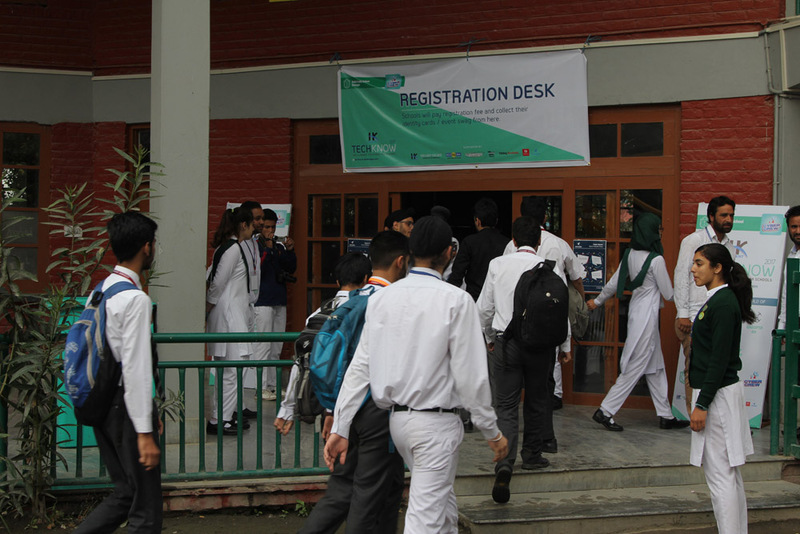 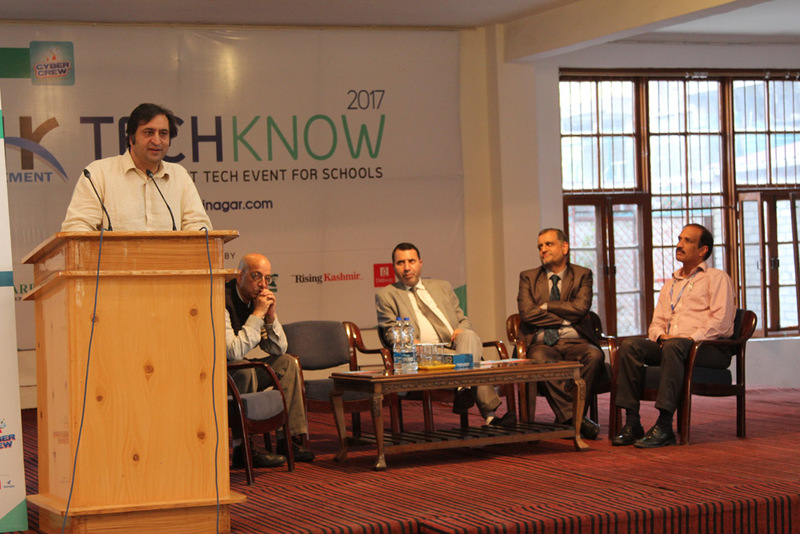 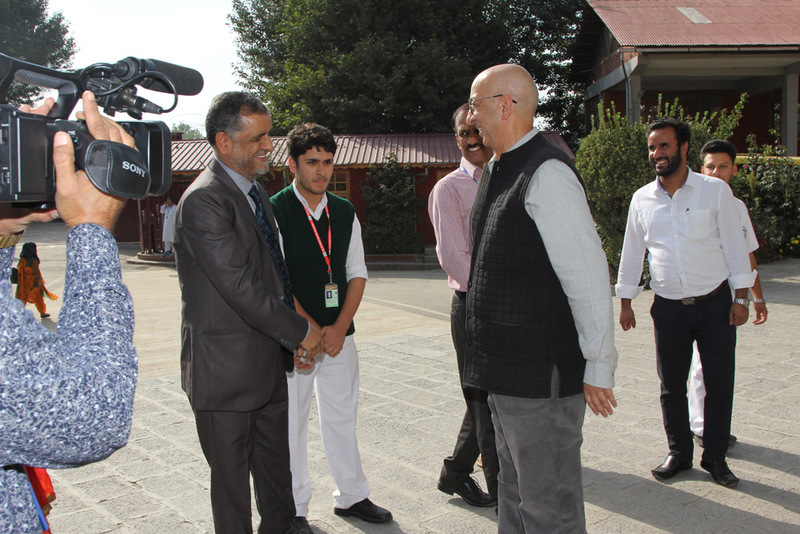 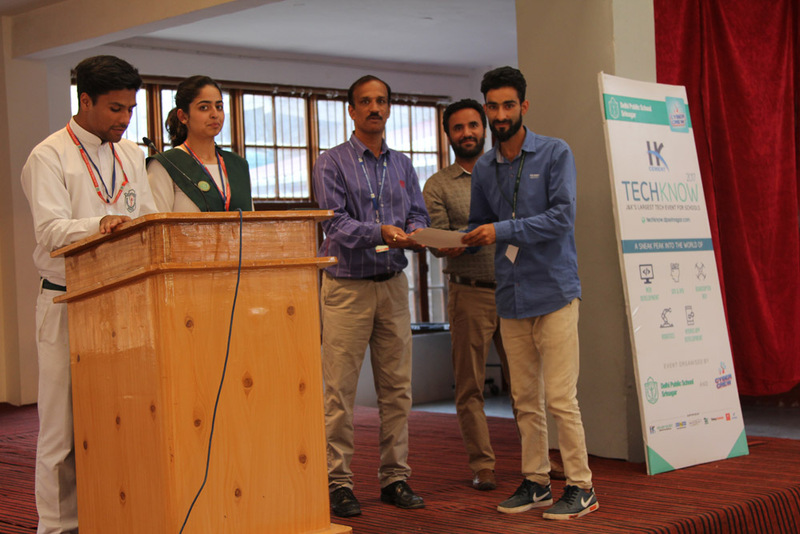 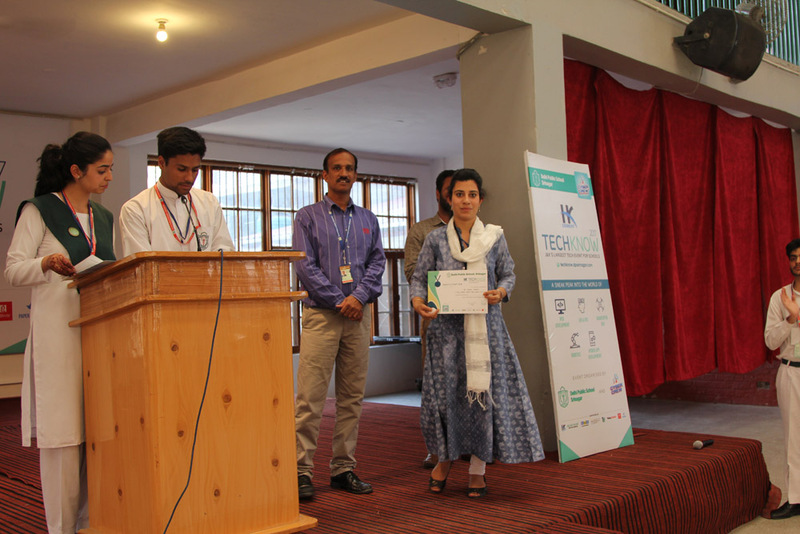 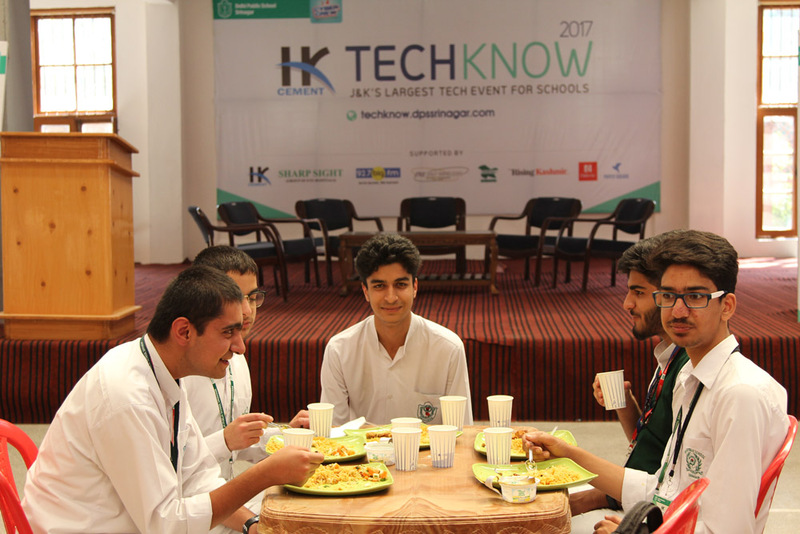 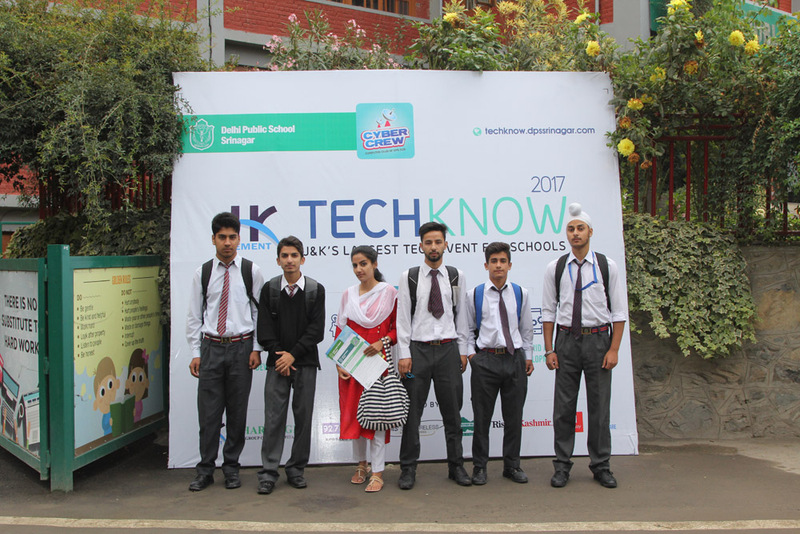 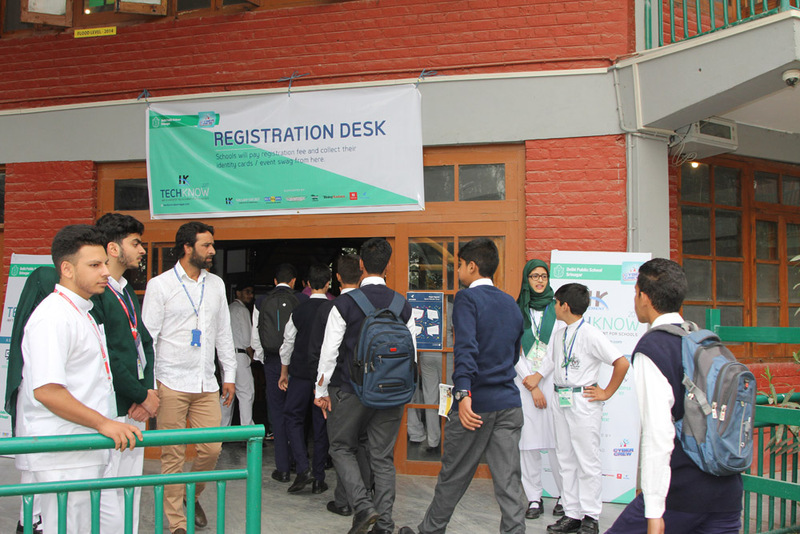 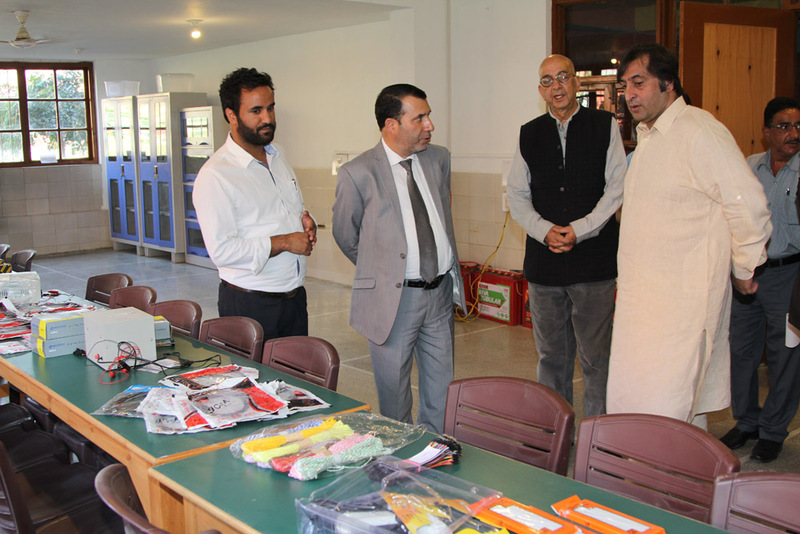 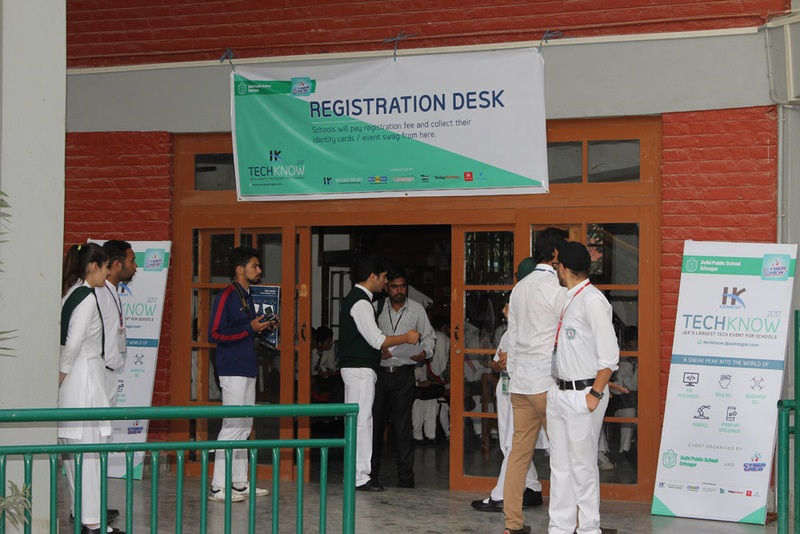 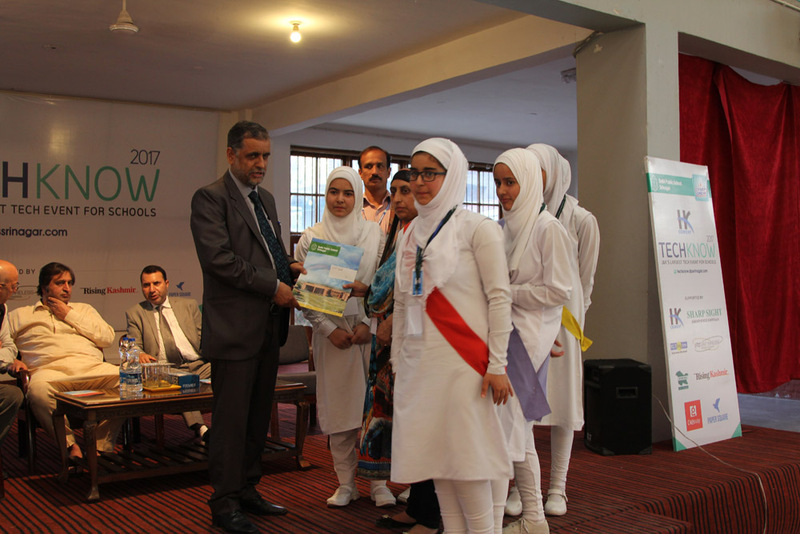 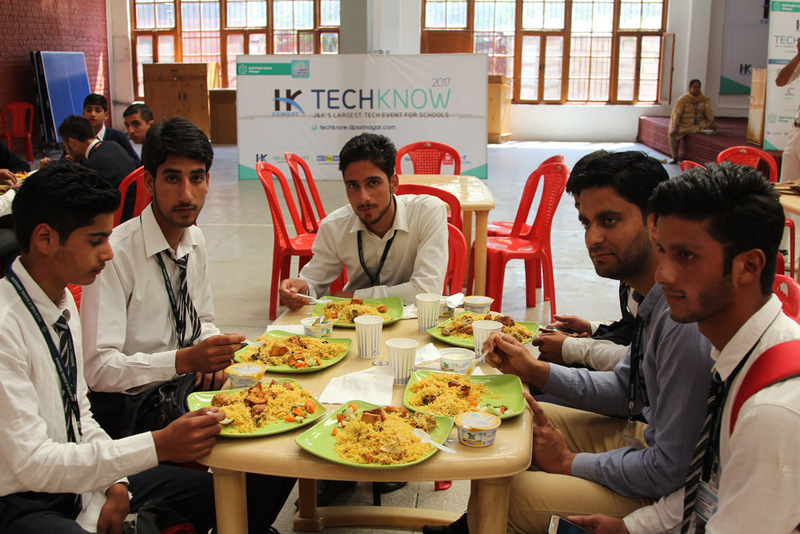 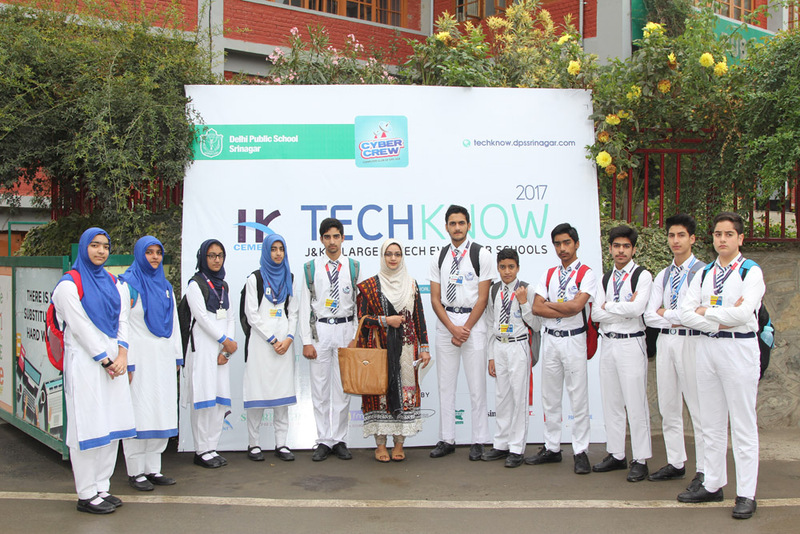 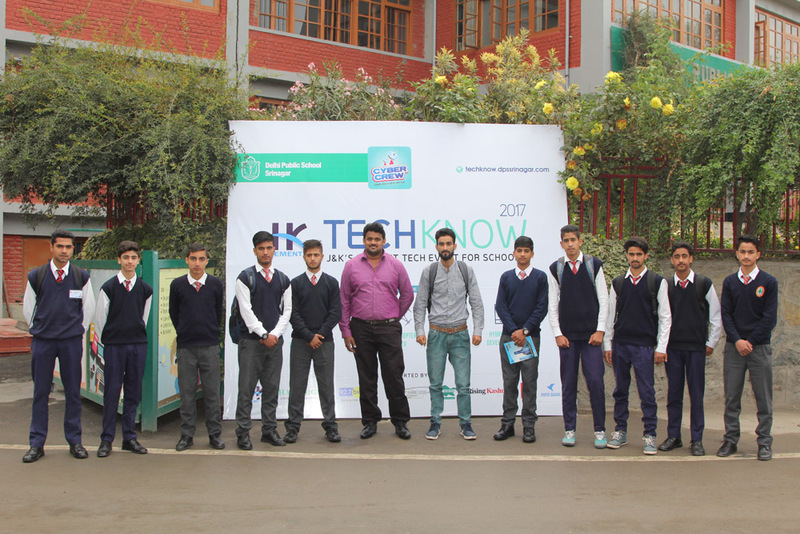 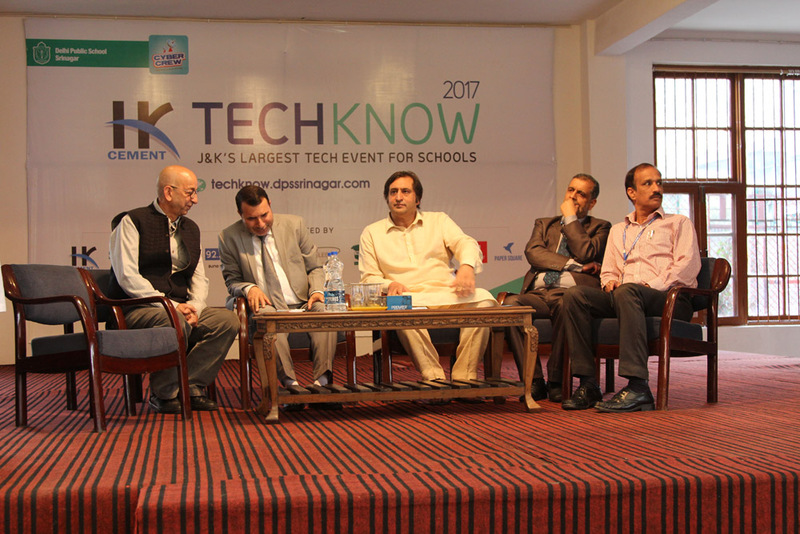 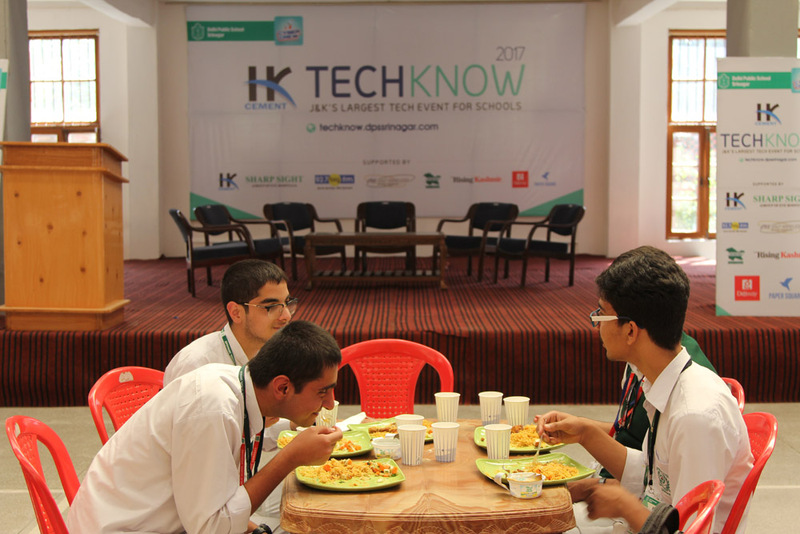 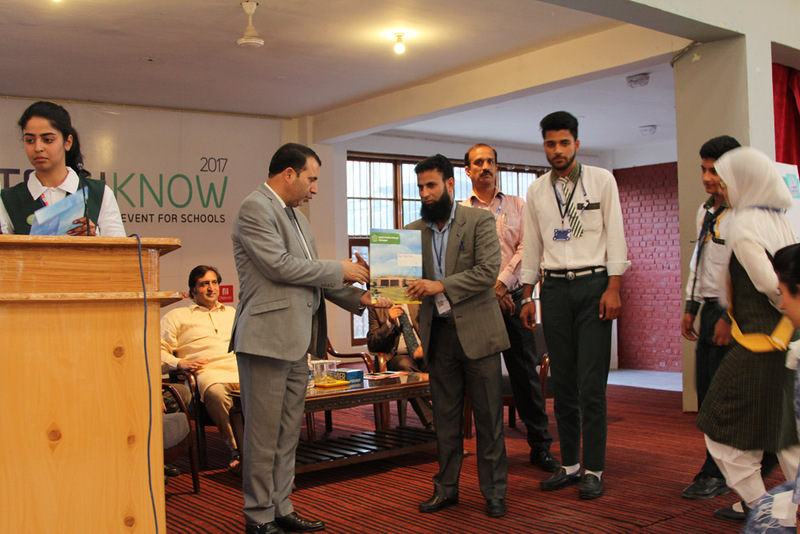 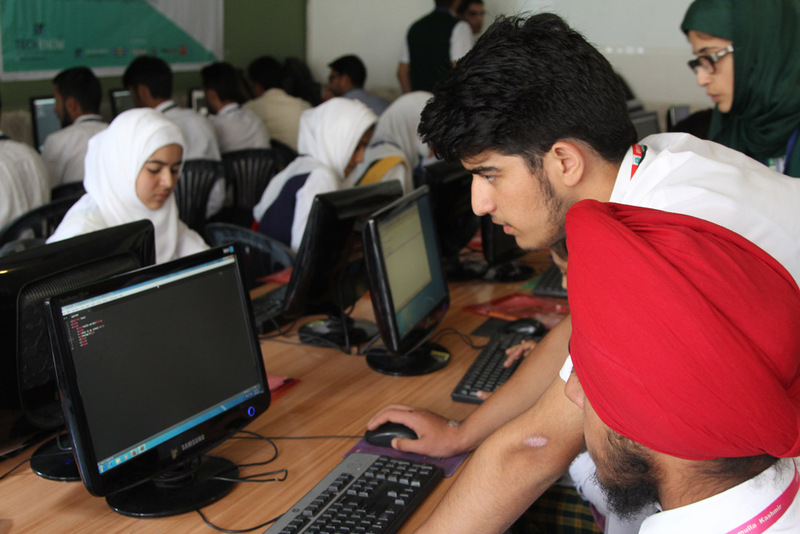 TechKnow 2017 is the largest tech event for schools in Jammu & Kashmir. 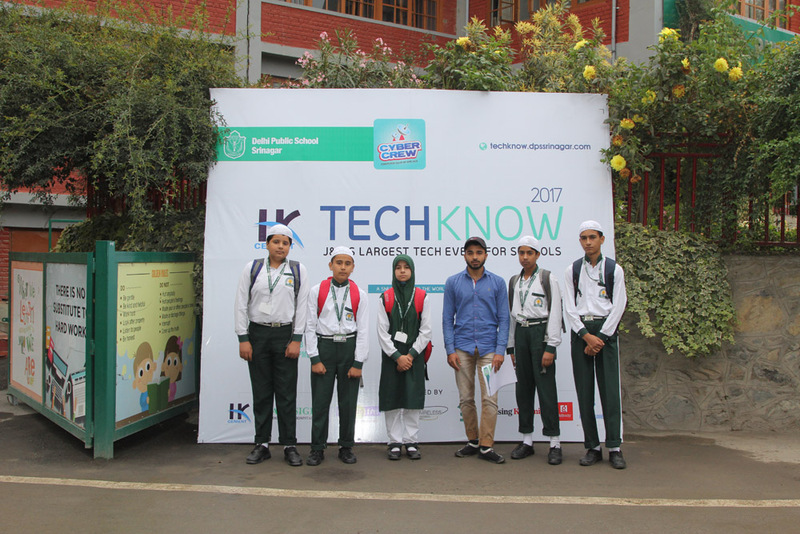 In TechKnow children gets to Learn, code and share interests related to technology. 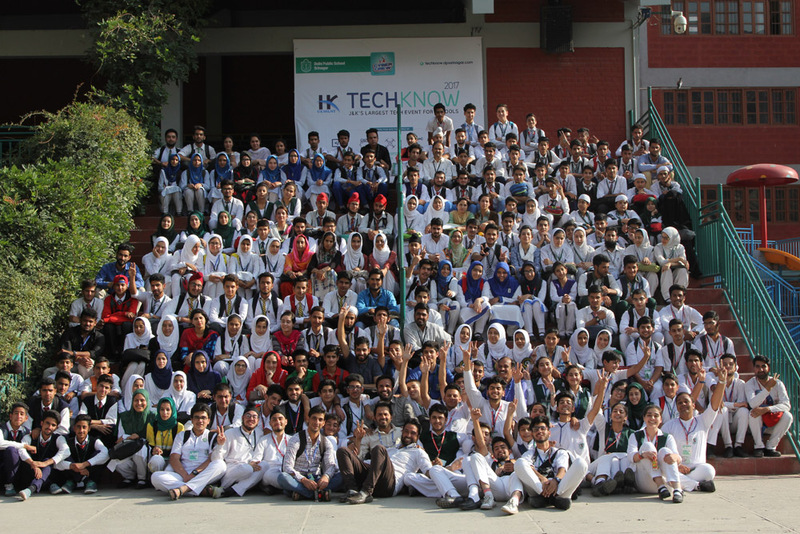 And yes, it is by the students, for the students. 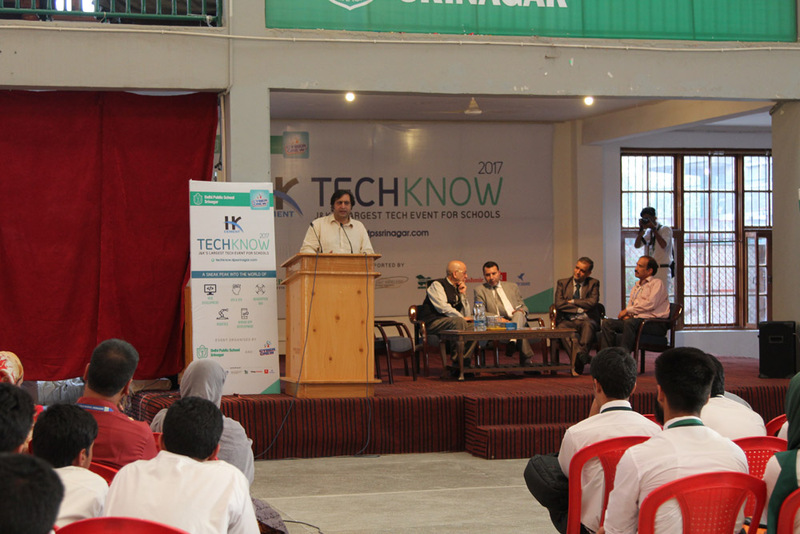 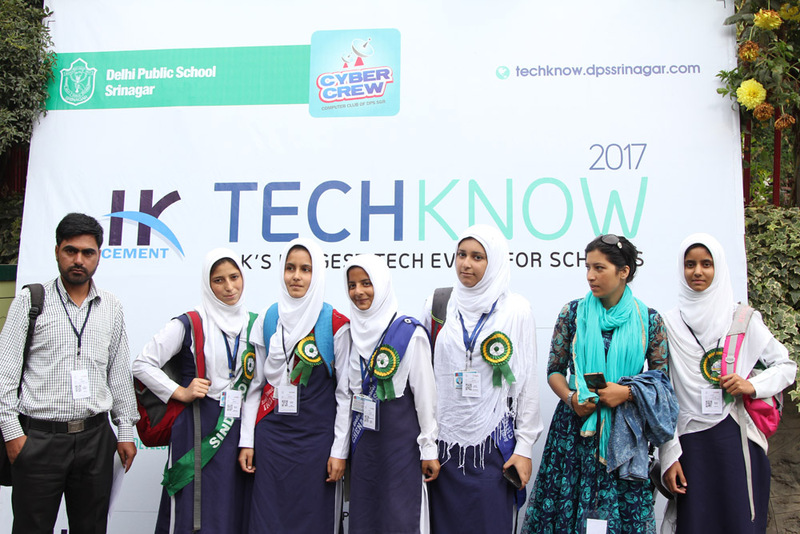 TechKnow, largest tech event for schools organised by, Cyber Crew, computer club of our school was thrown open today on 11 Sep, 2017. 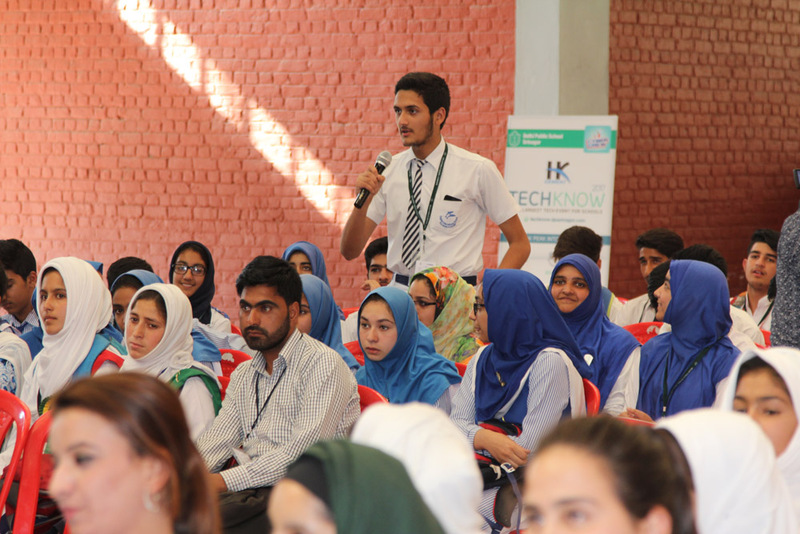 The tech event aims at providing a clear view of the opportunities and challenges of an increasingly connected world to students. 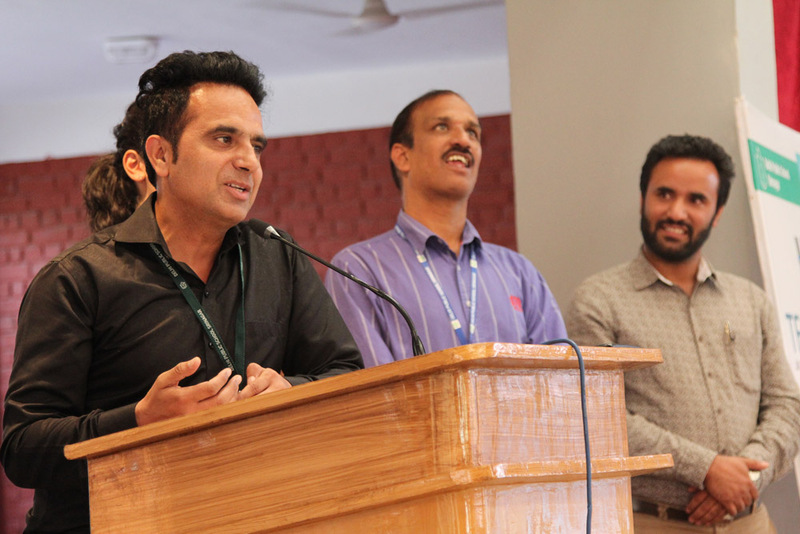 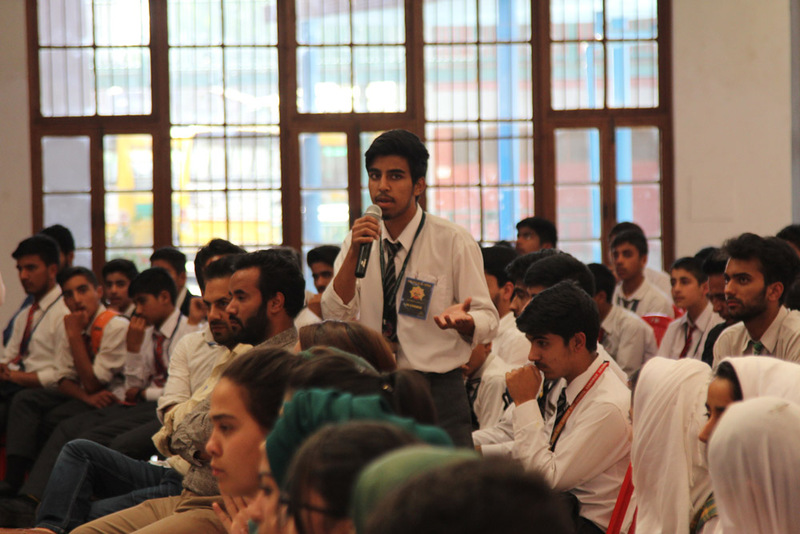 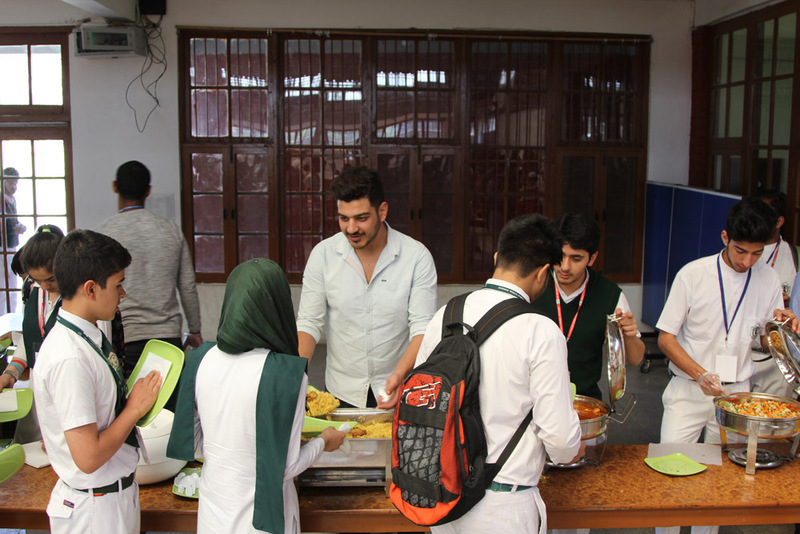 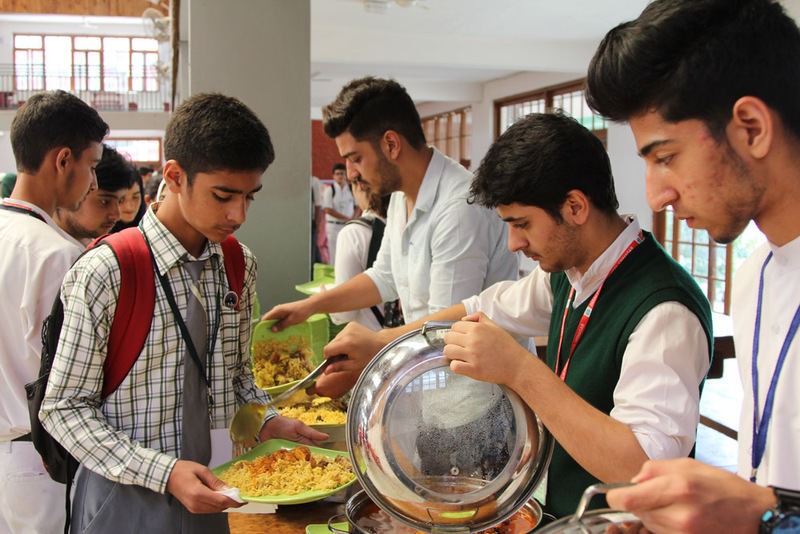 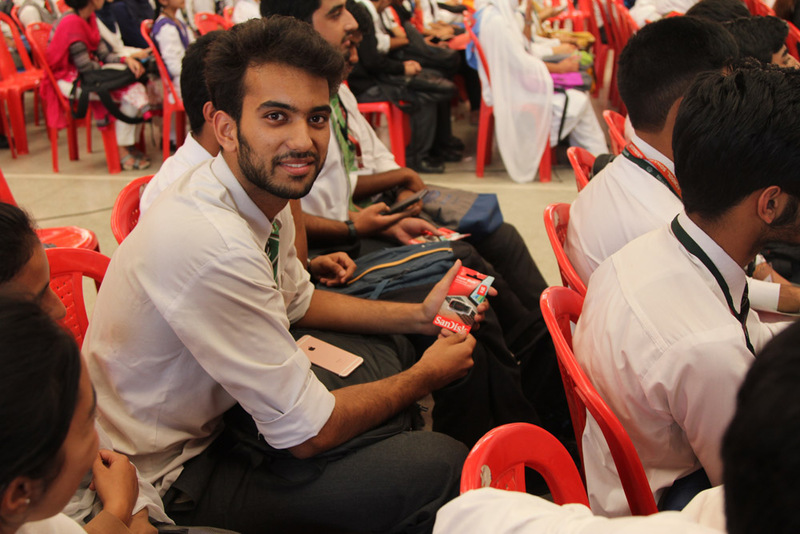 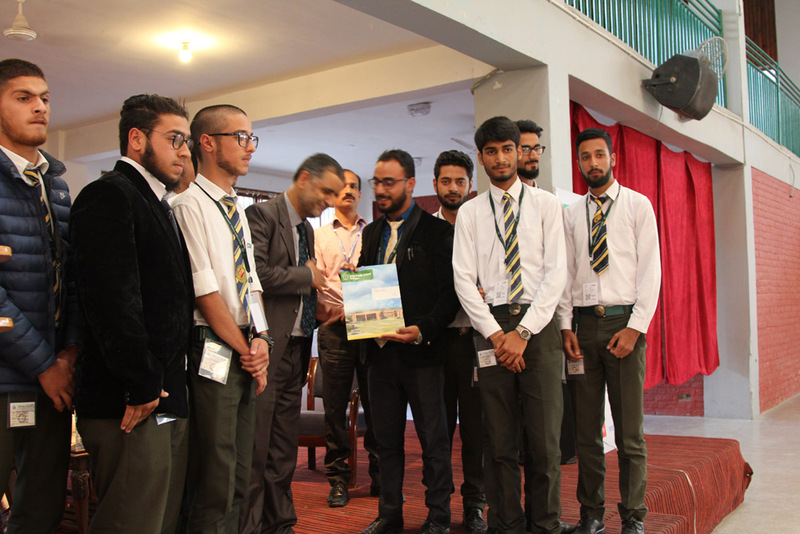 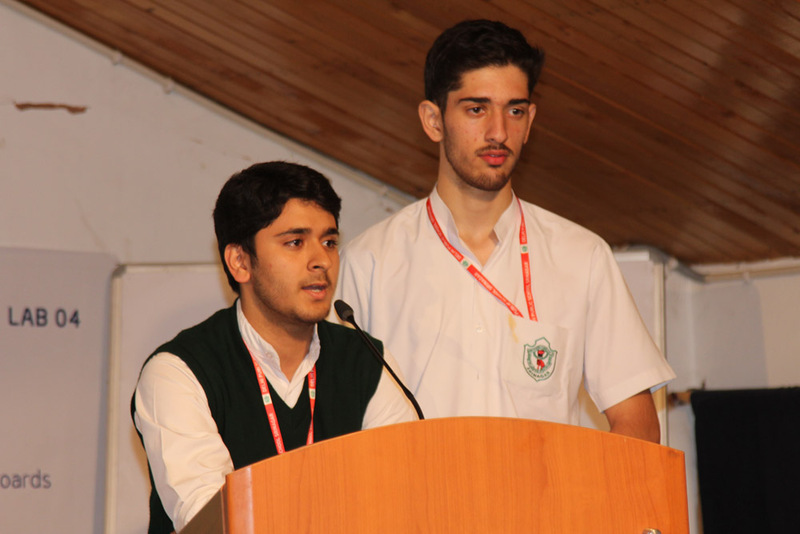 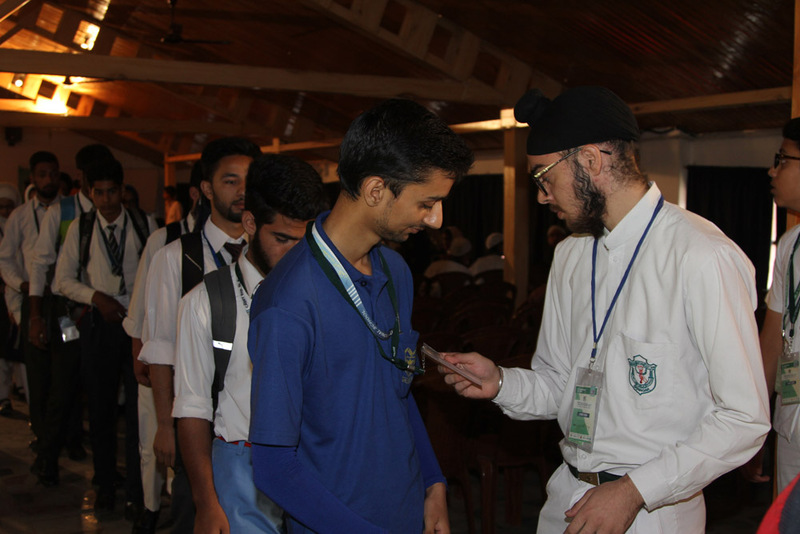 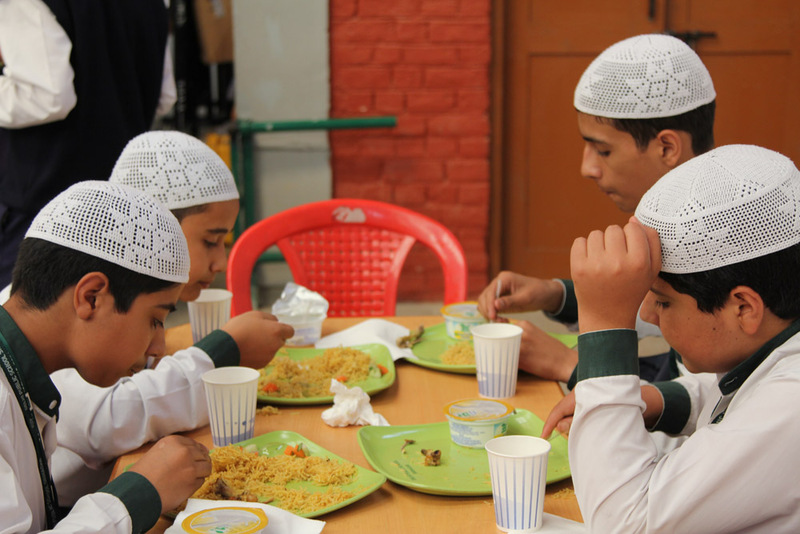 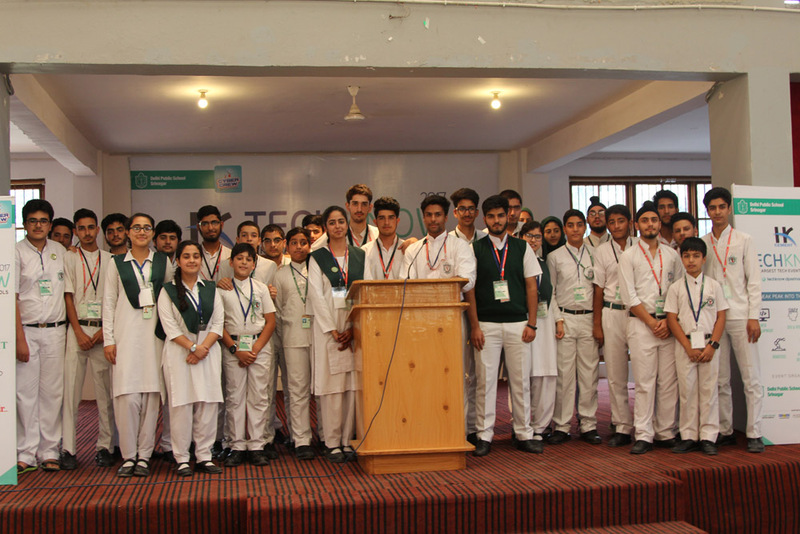 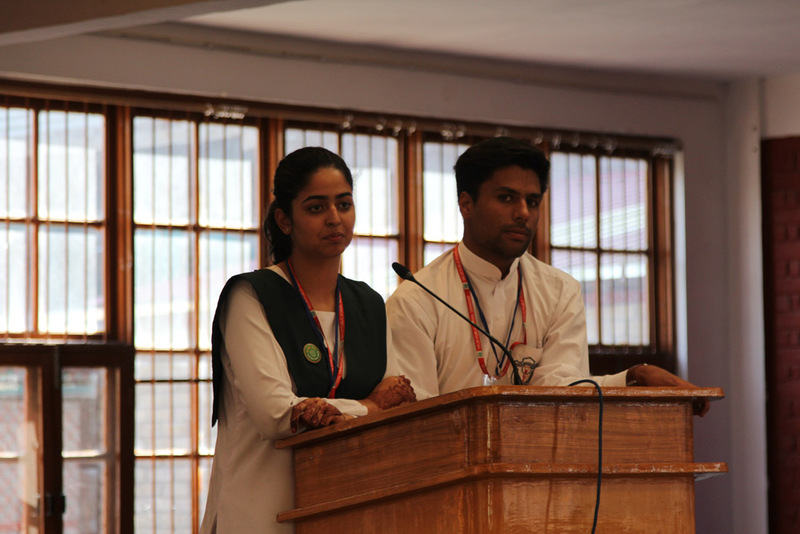 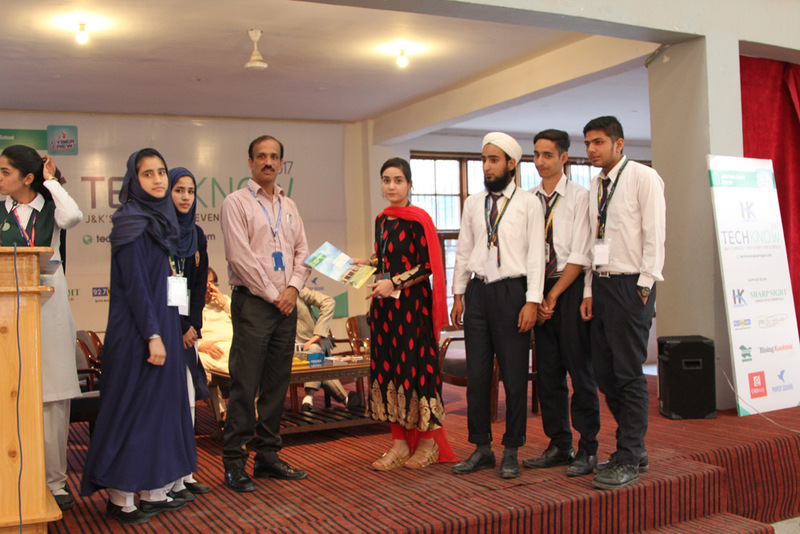 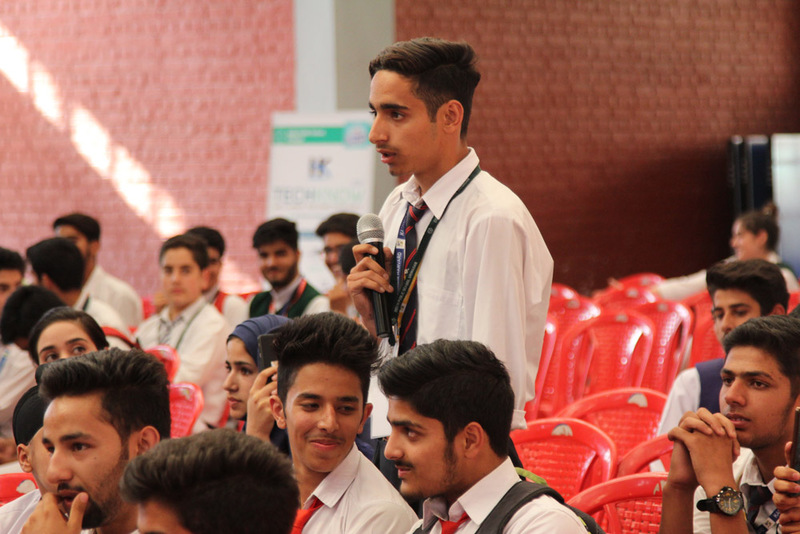 The vent began with the welcome speech of Zayan Rouf and Barin Shah who welcomed the participating schools and Muazam Khurshid and Tauseef Shah briefed the students about the five different workshops to be conducted in two days of workshop. 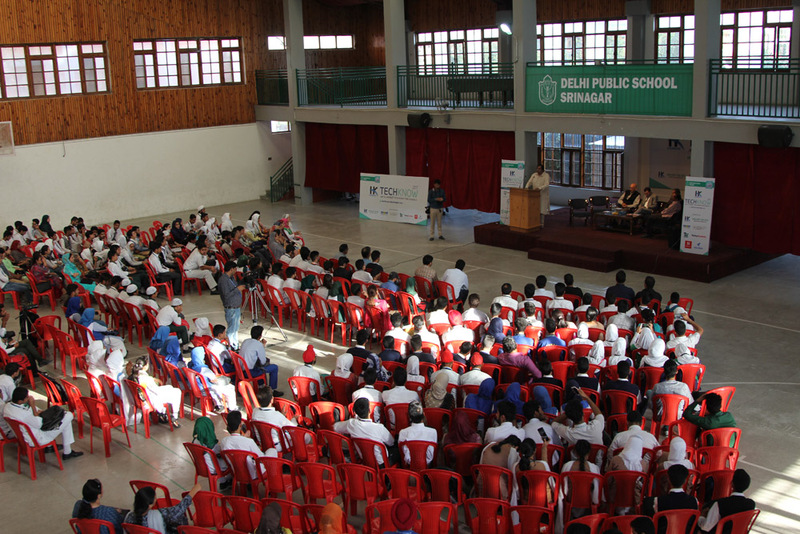 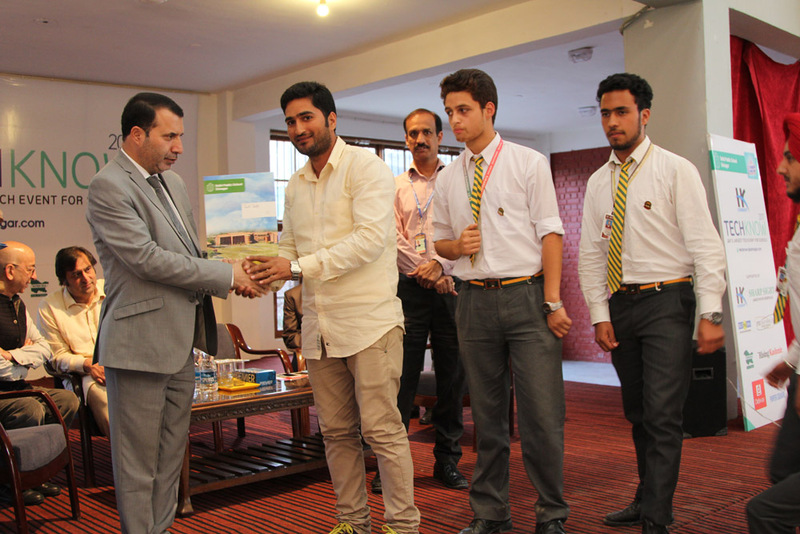 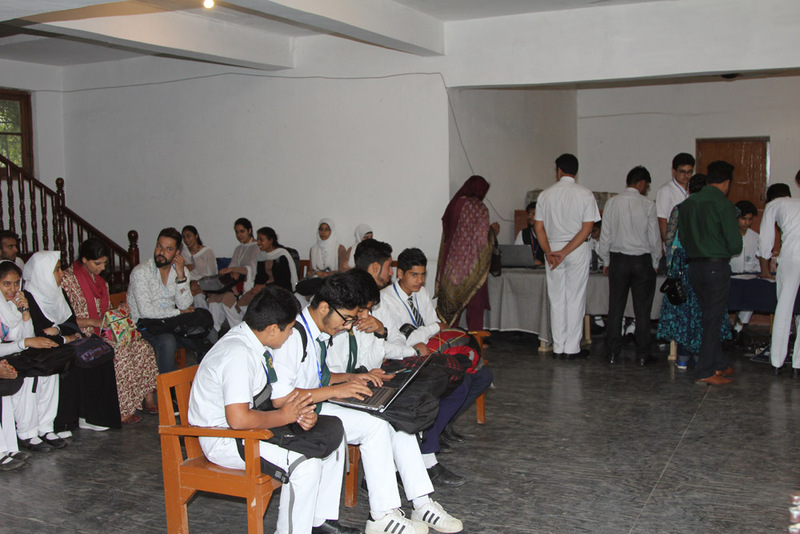 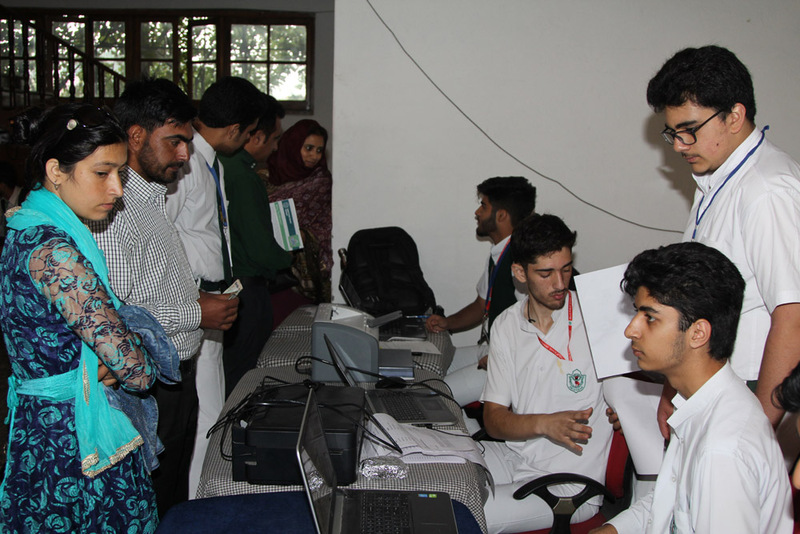 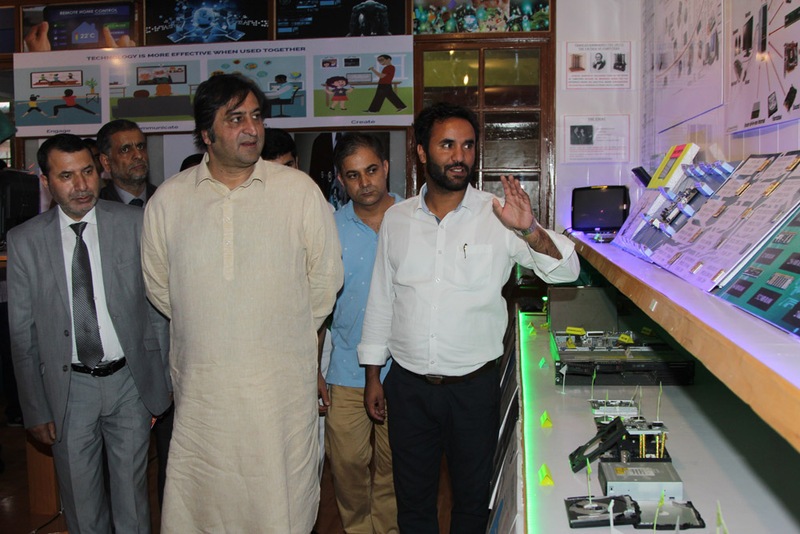 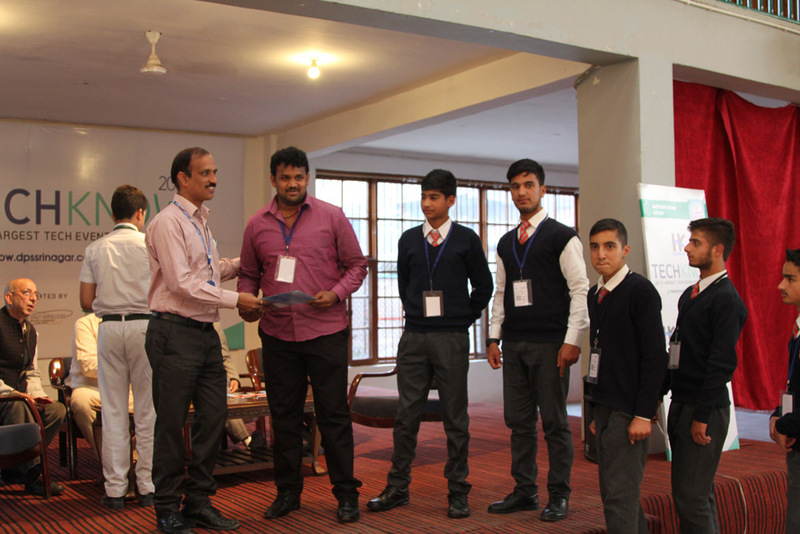 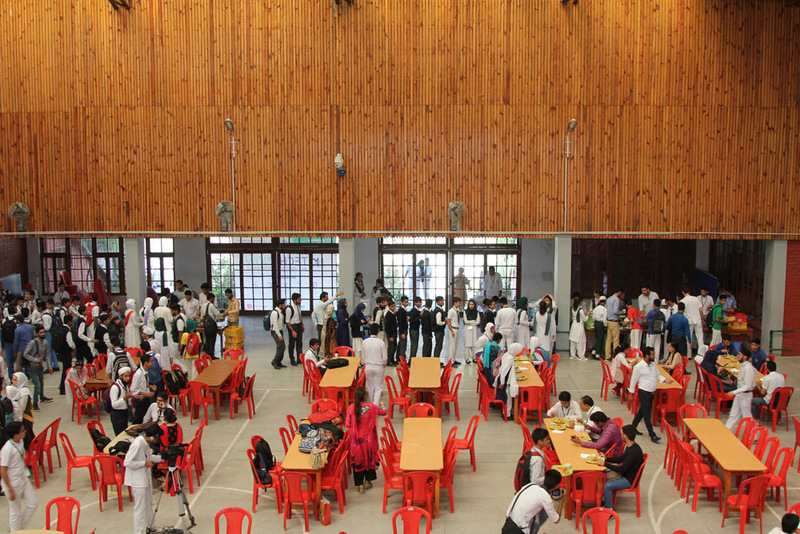 Glimpses of previous techno events were shown to the participating schools. 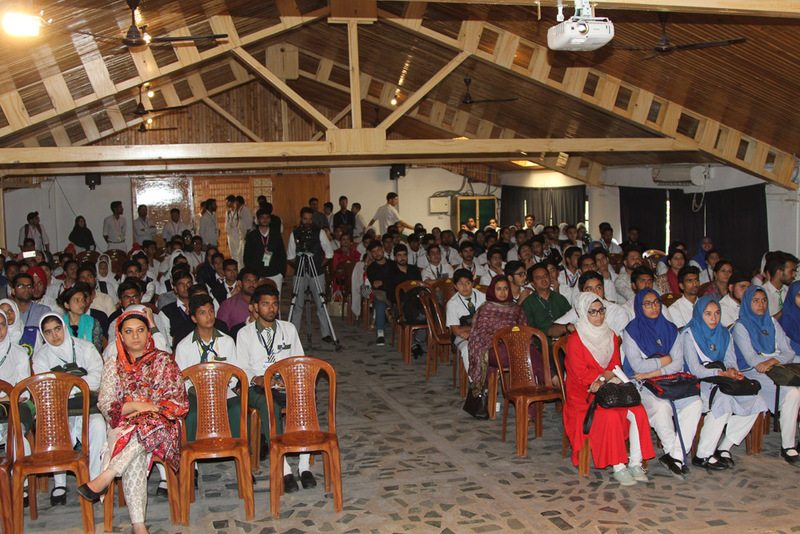 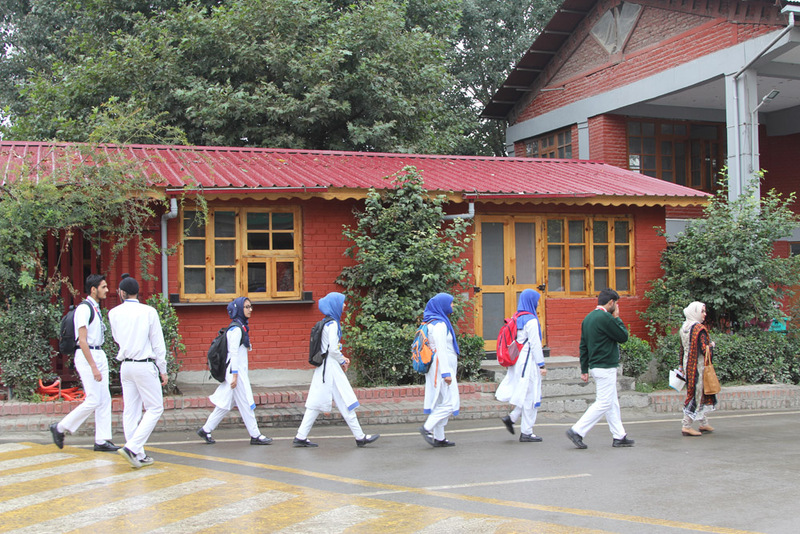 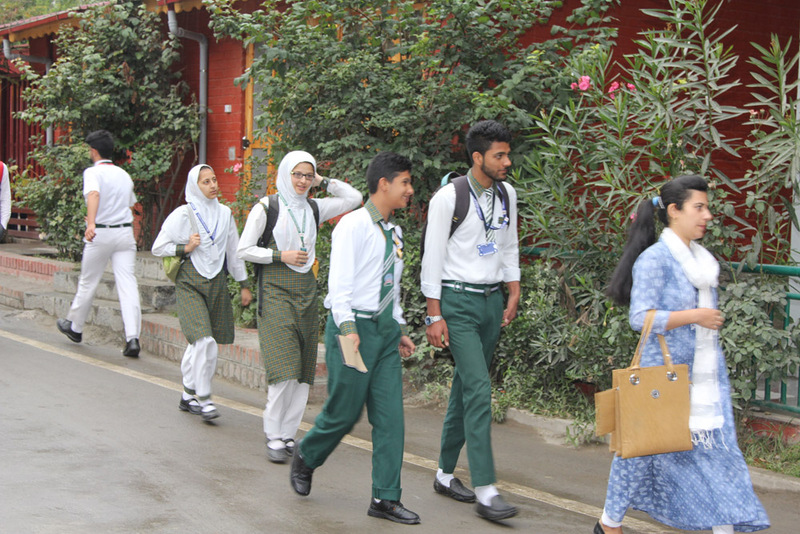 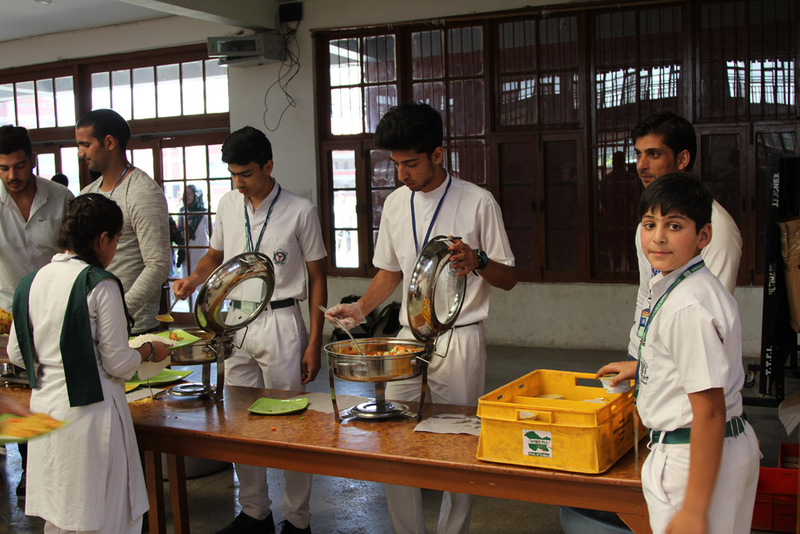 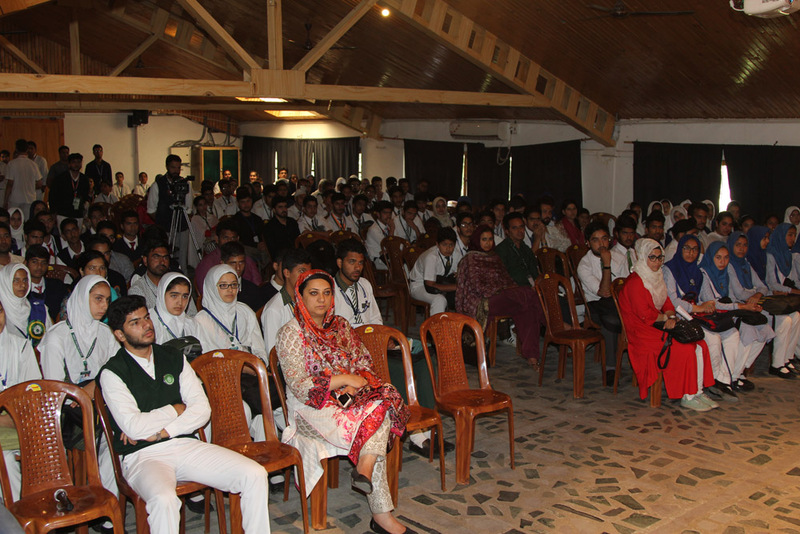 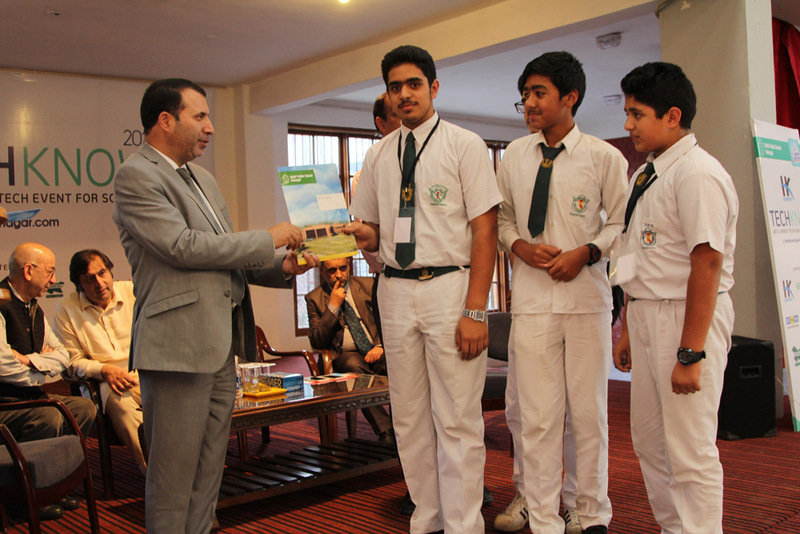 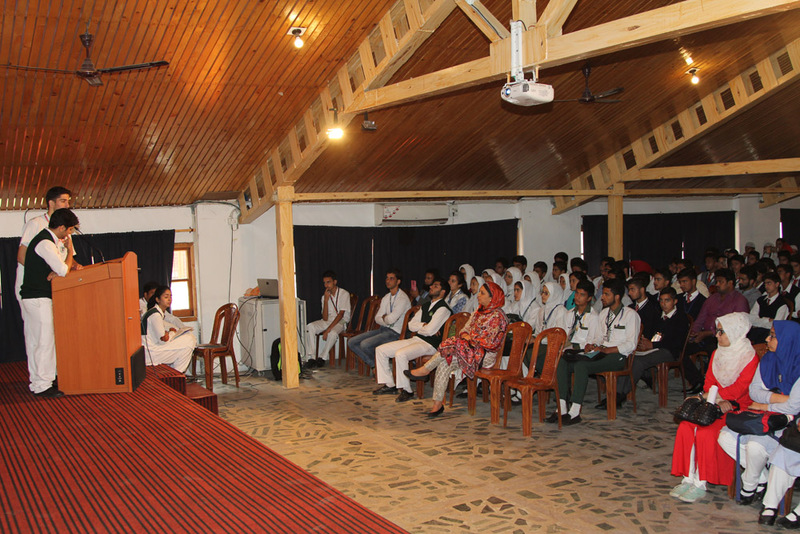 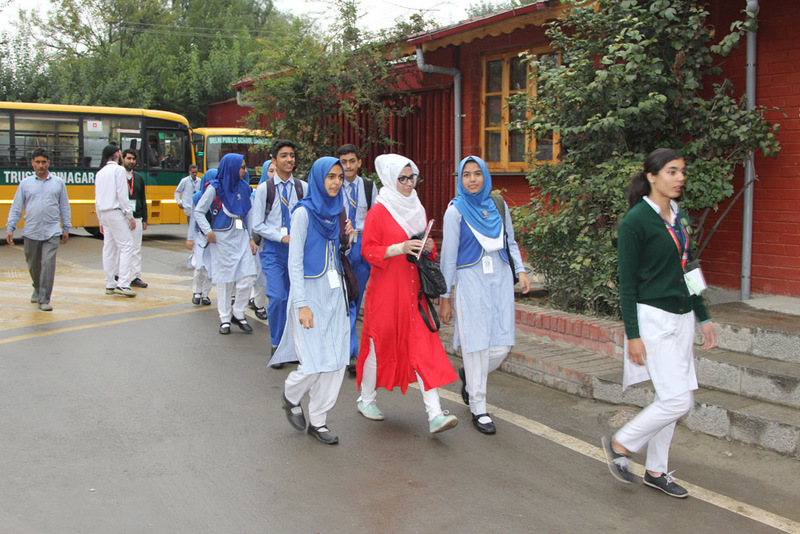 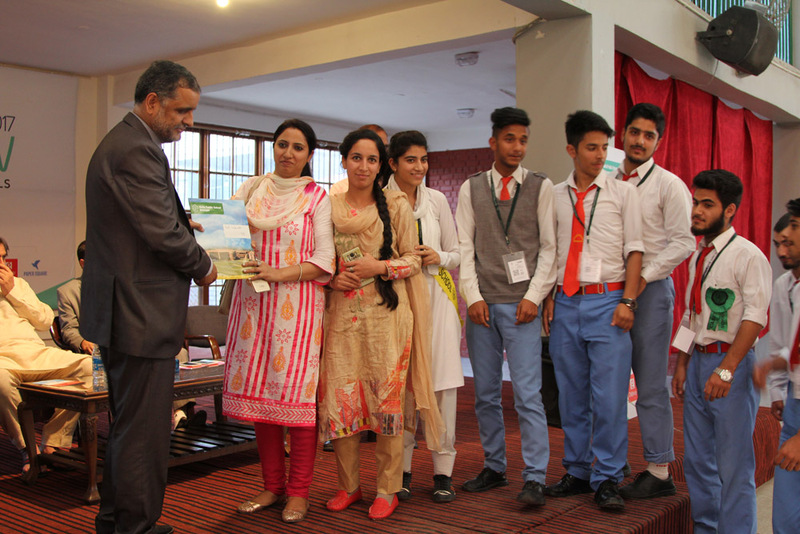 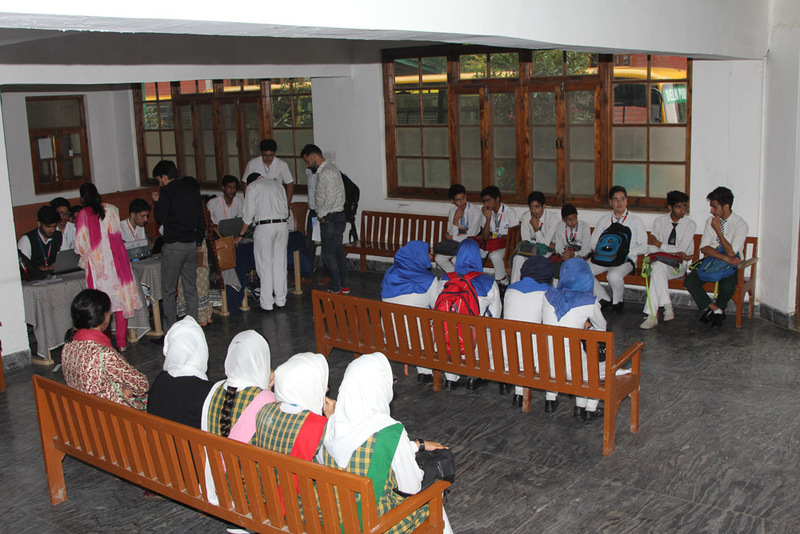 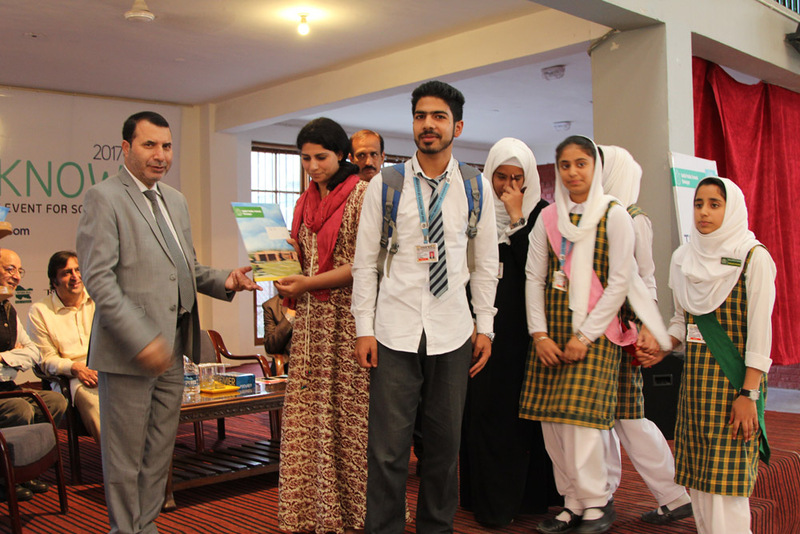 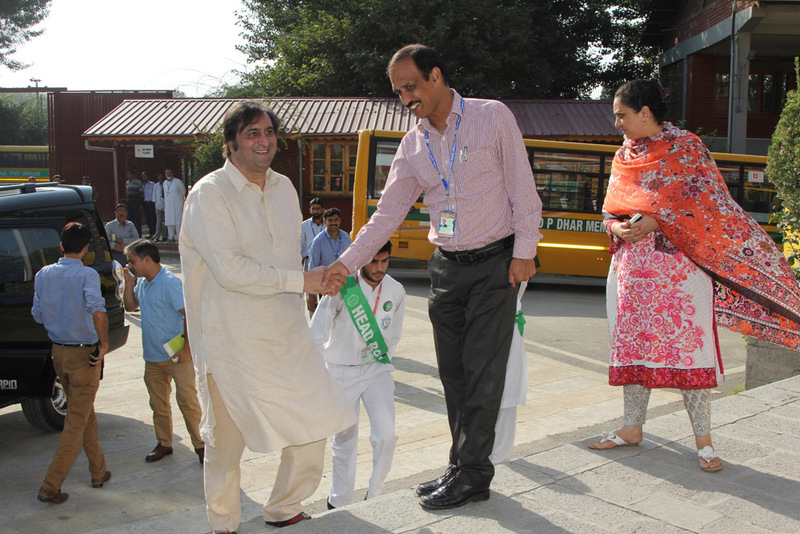 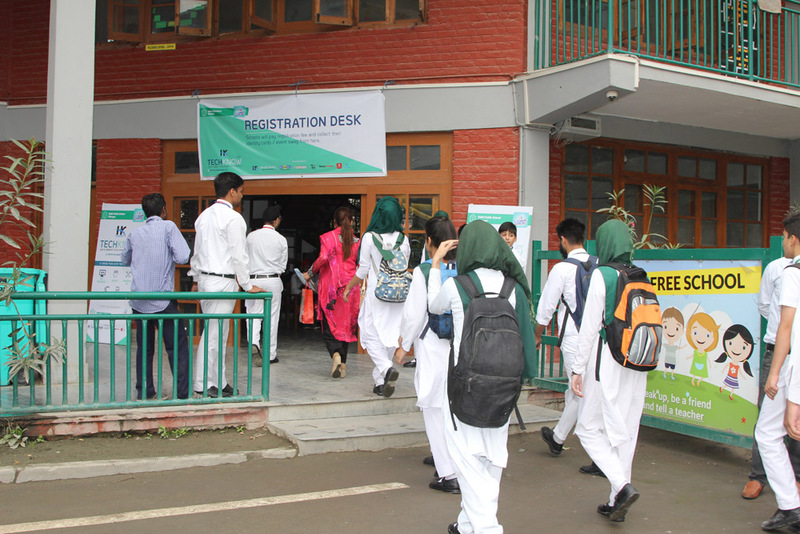 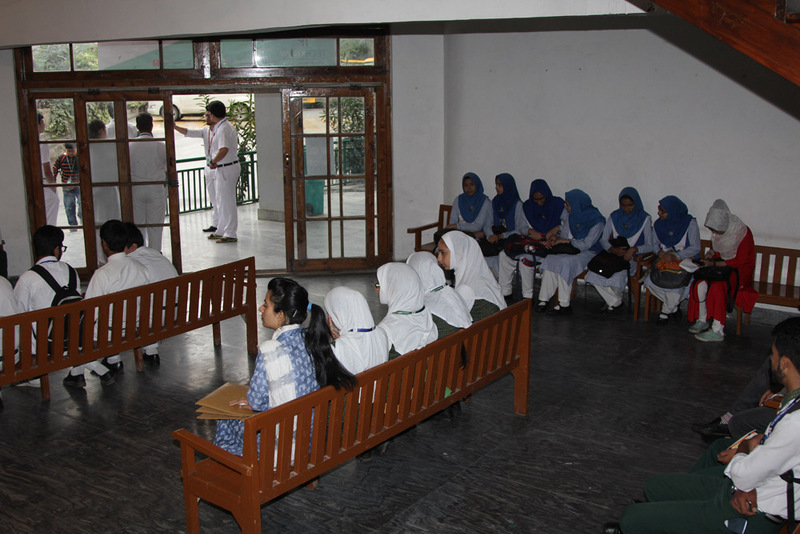 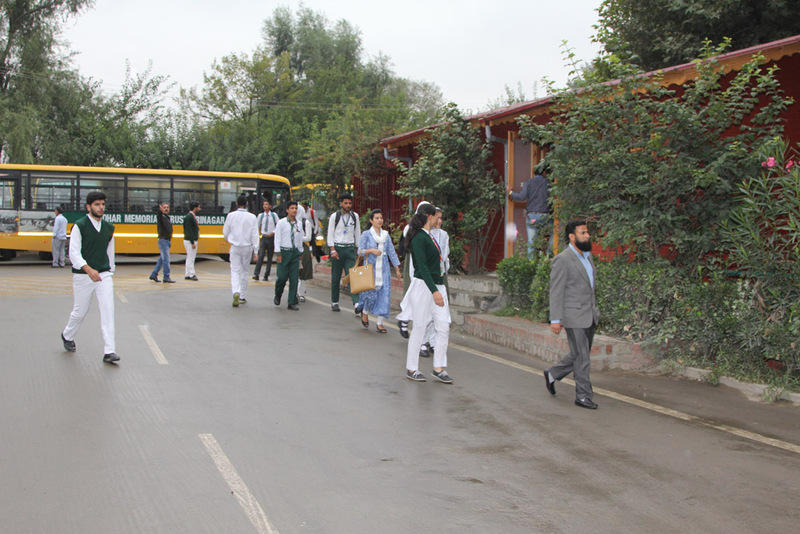 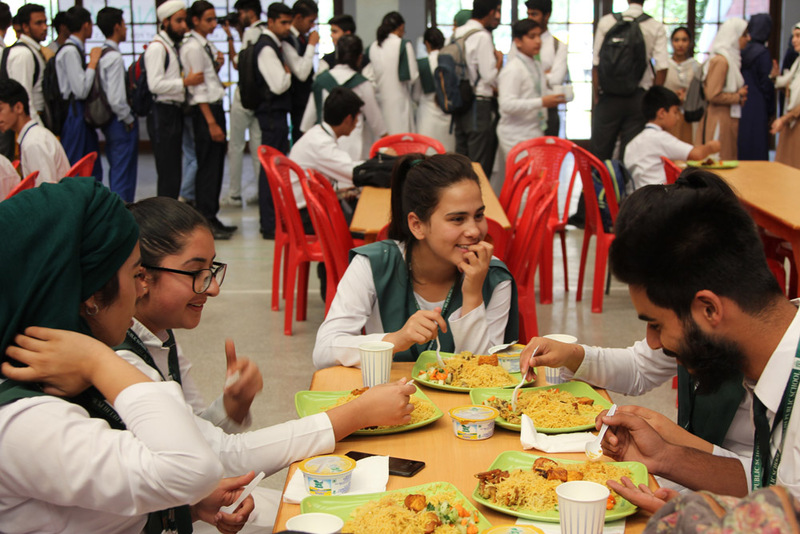 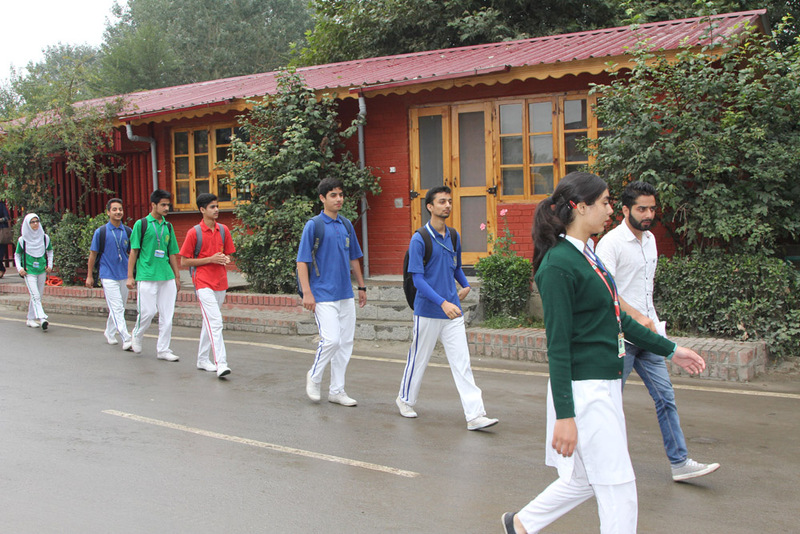 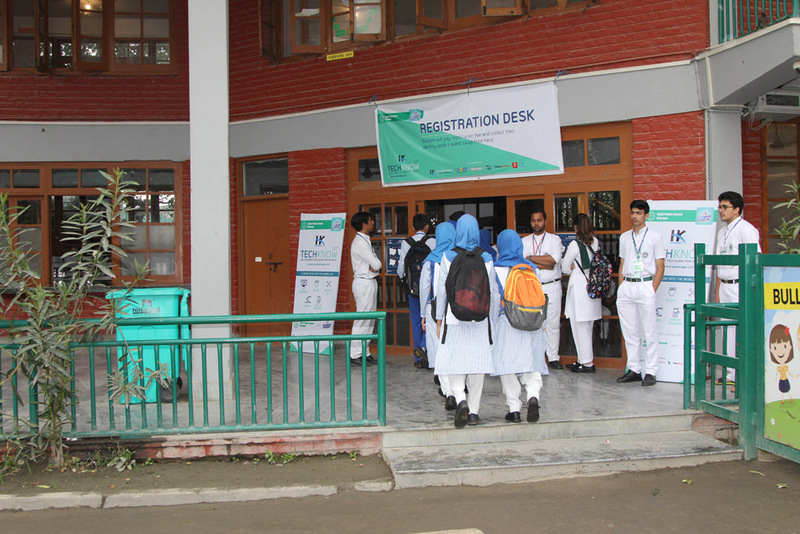 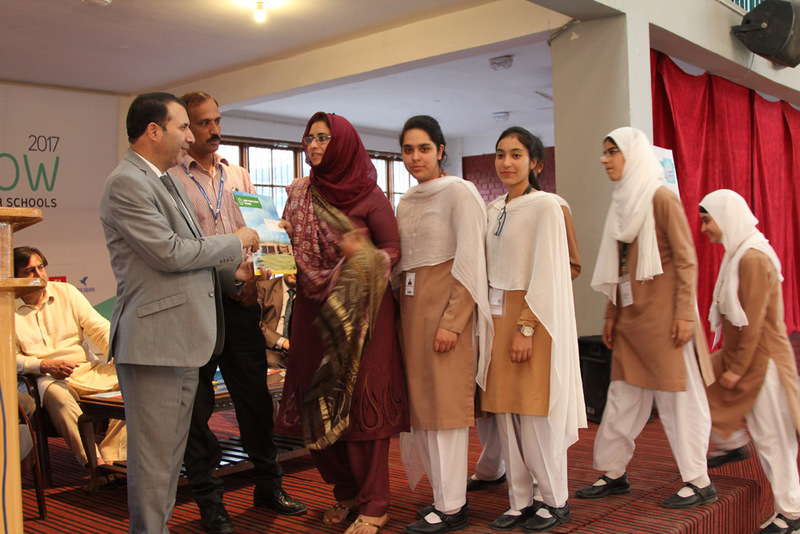 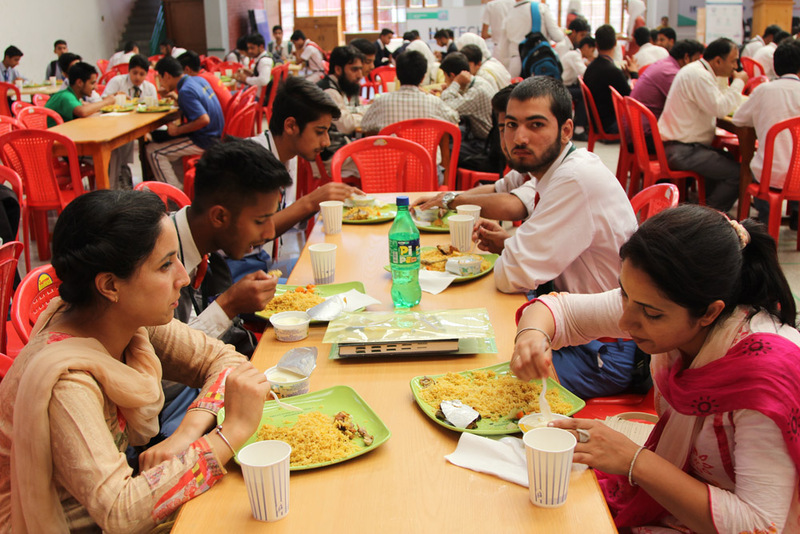 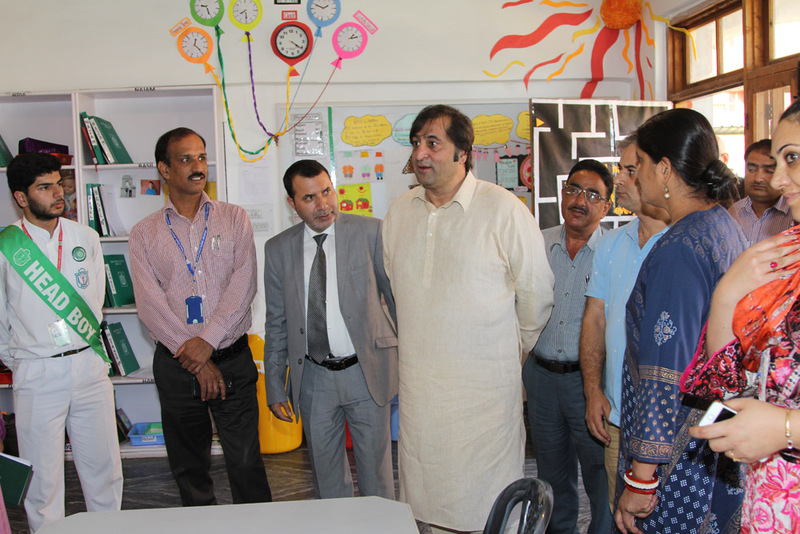 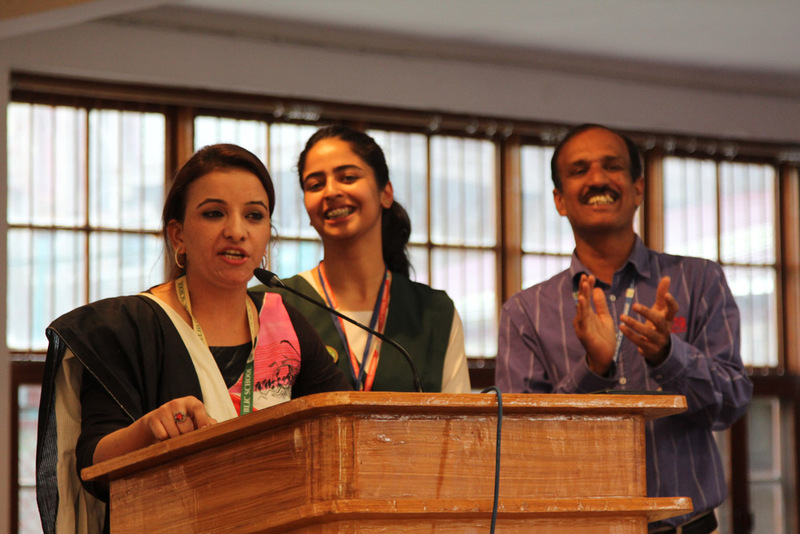 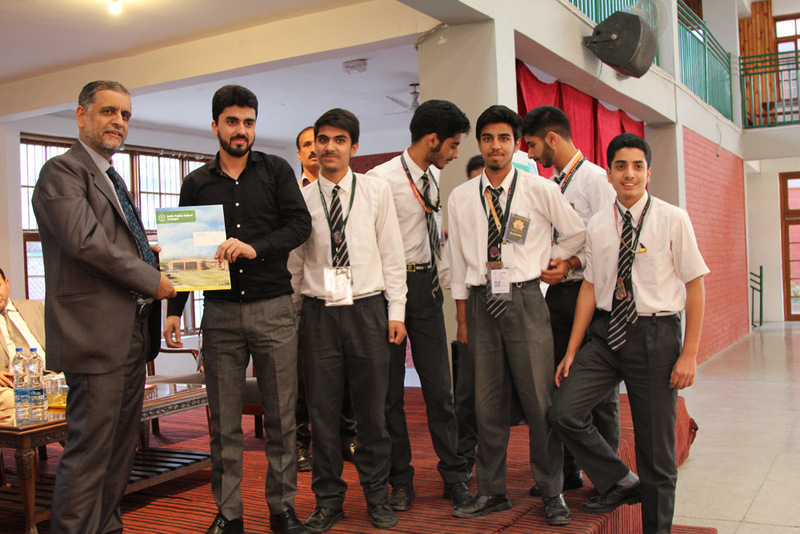 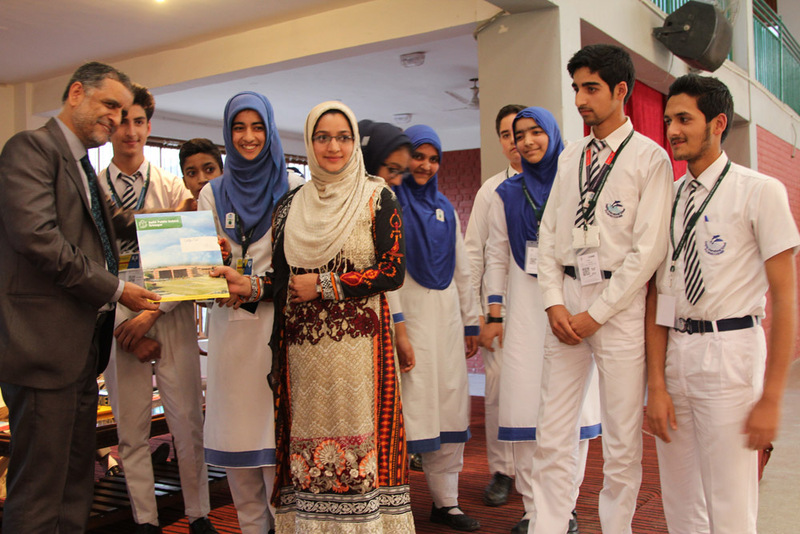 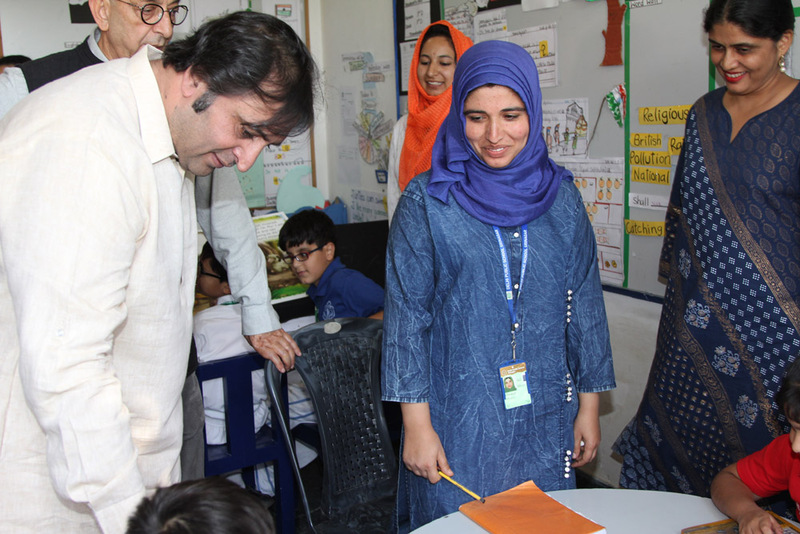 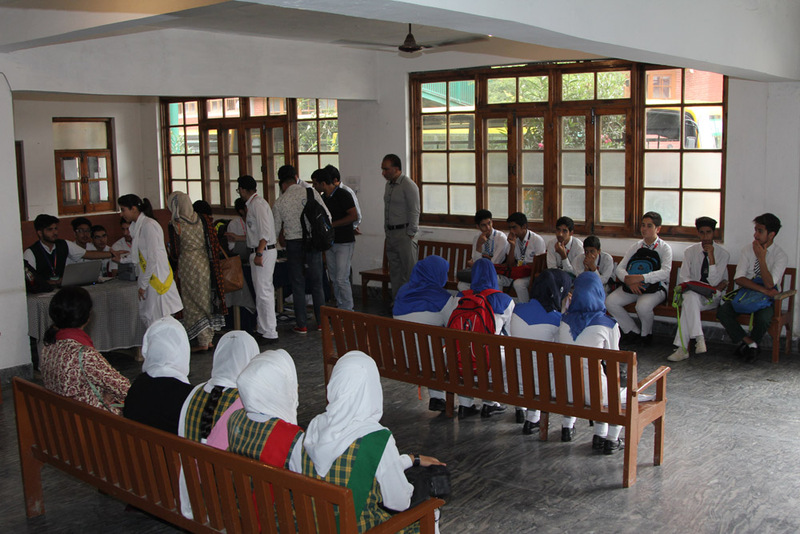 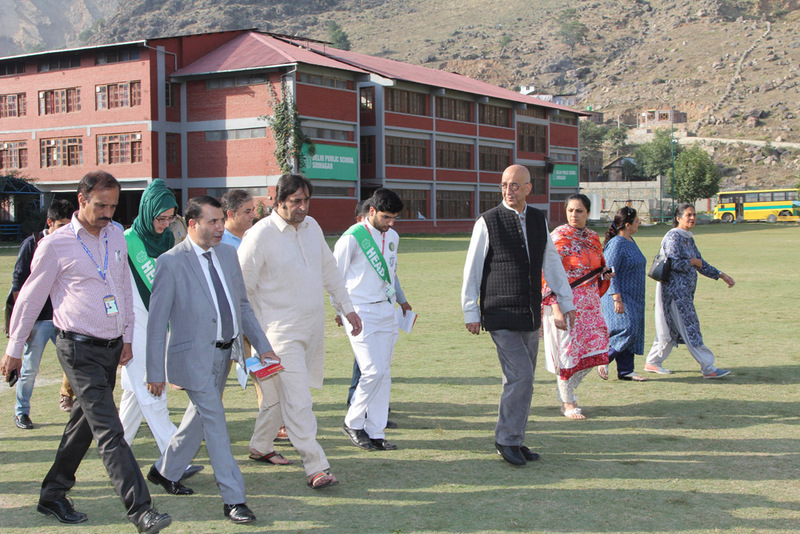 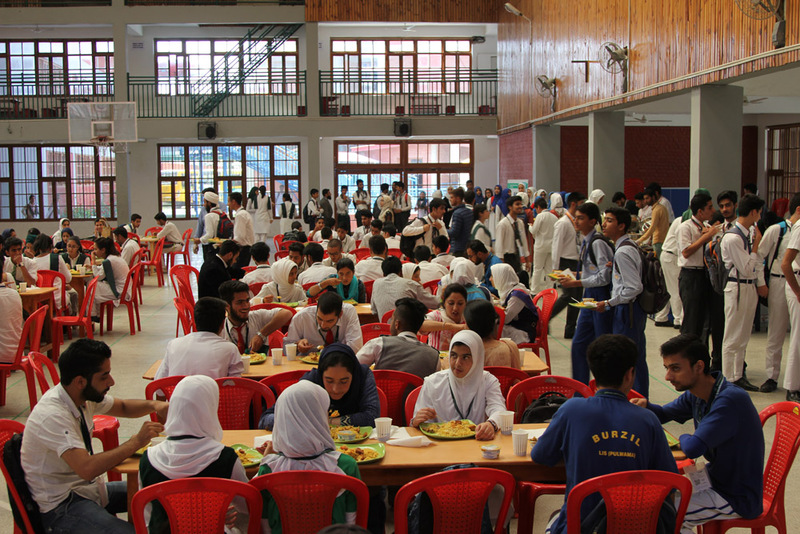 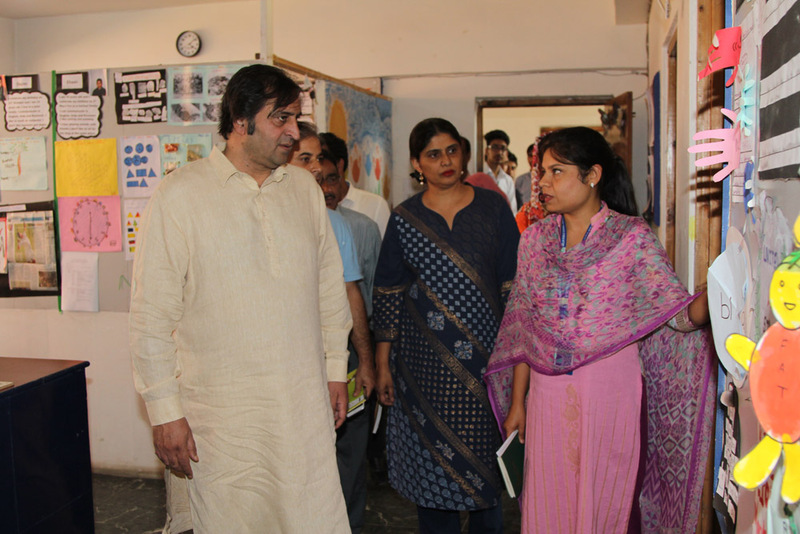 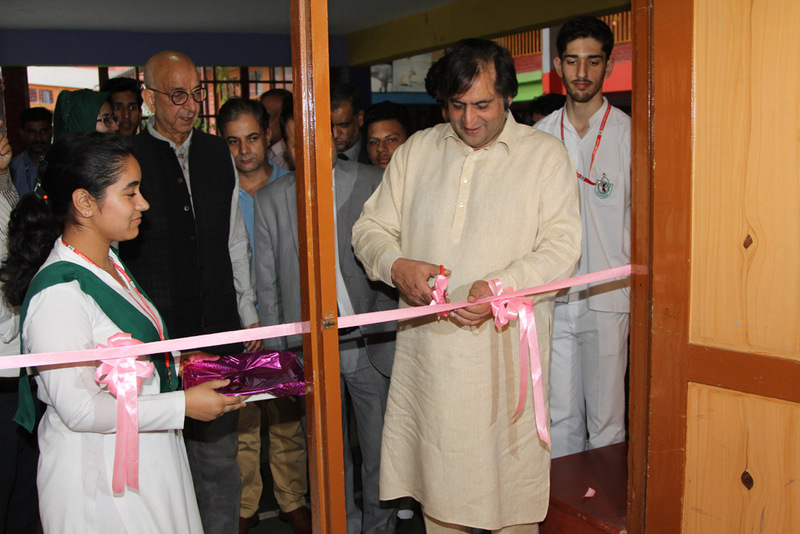 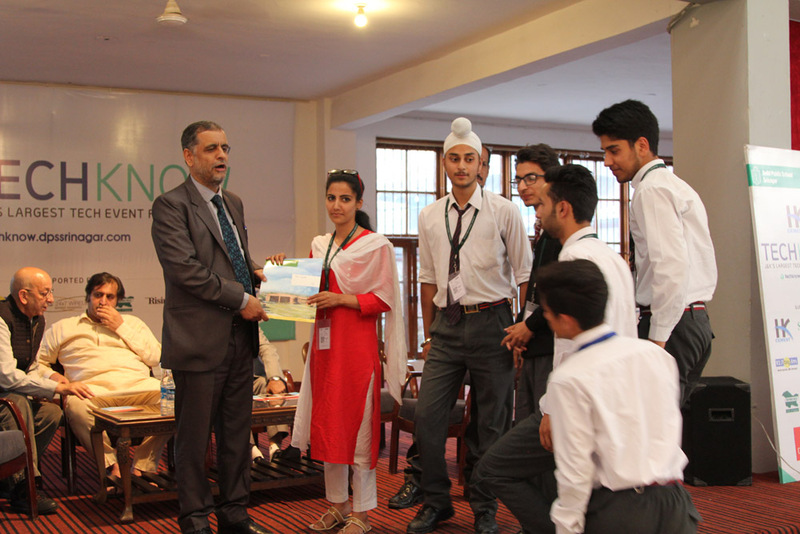 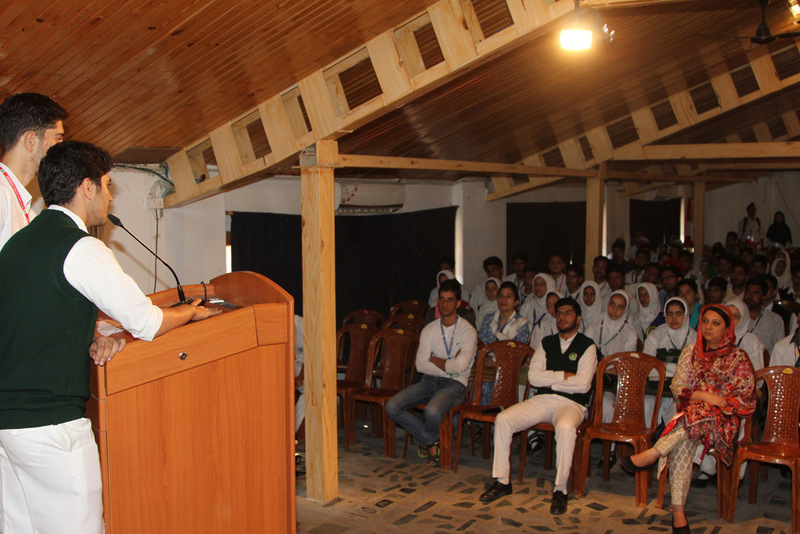 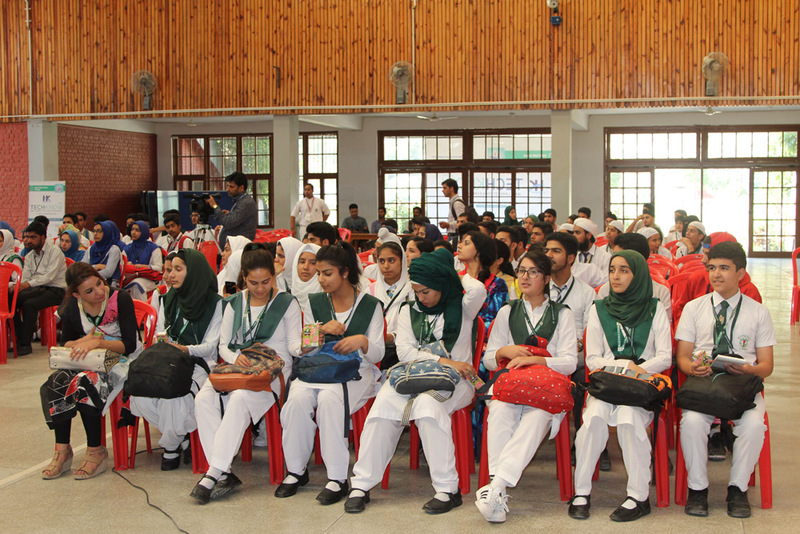 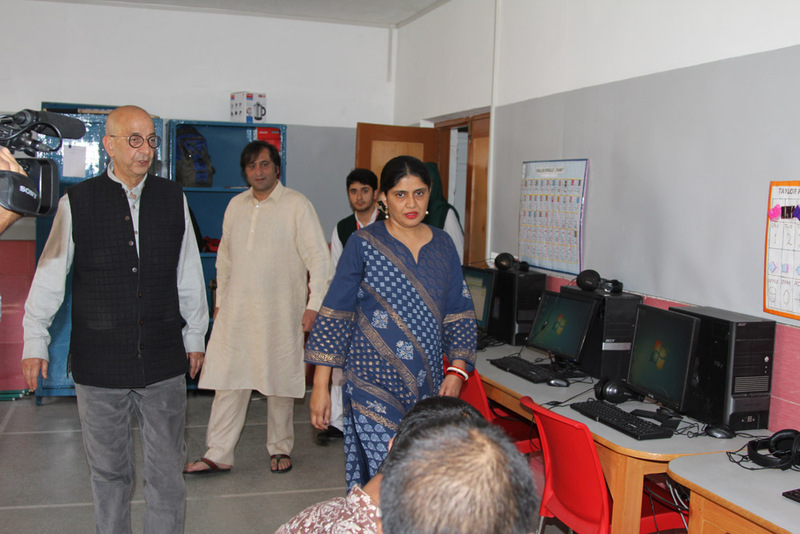 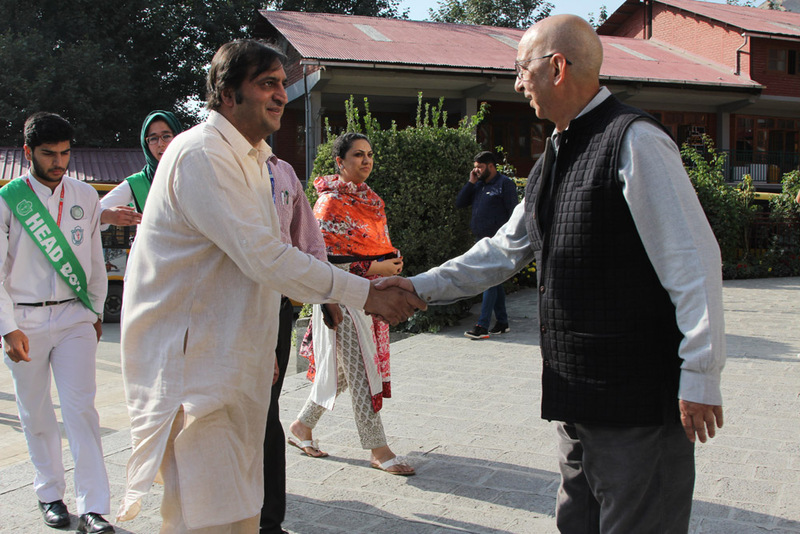 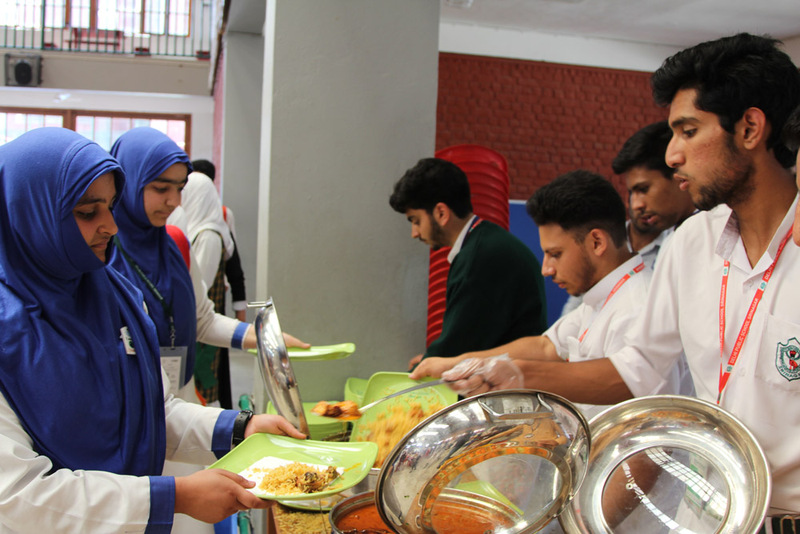 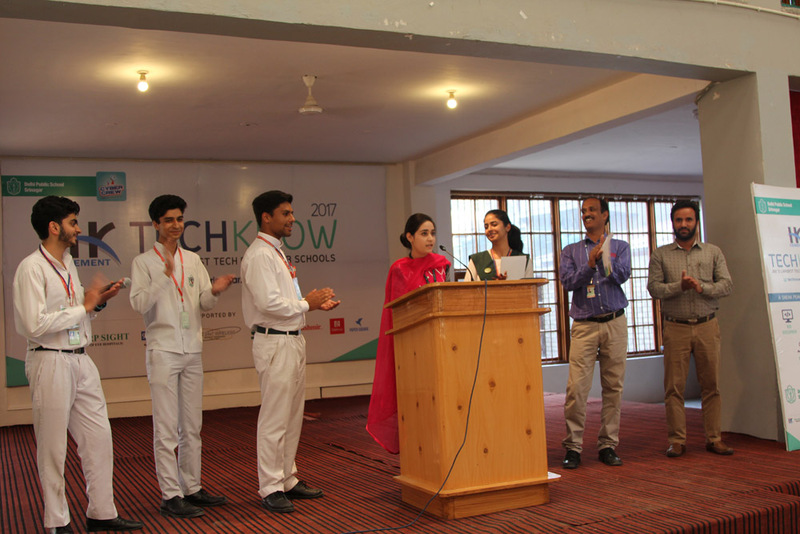 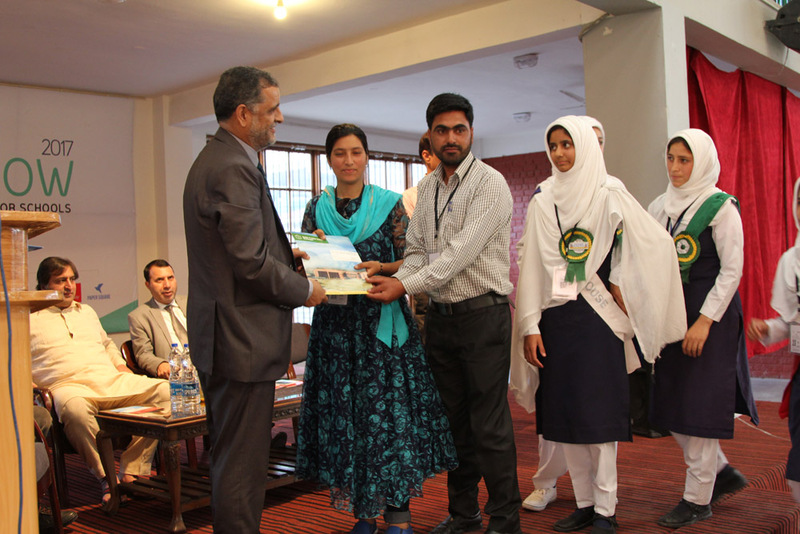 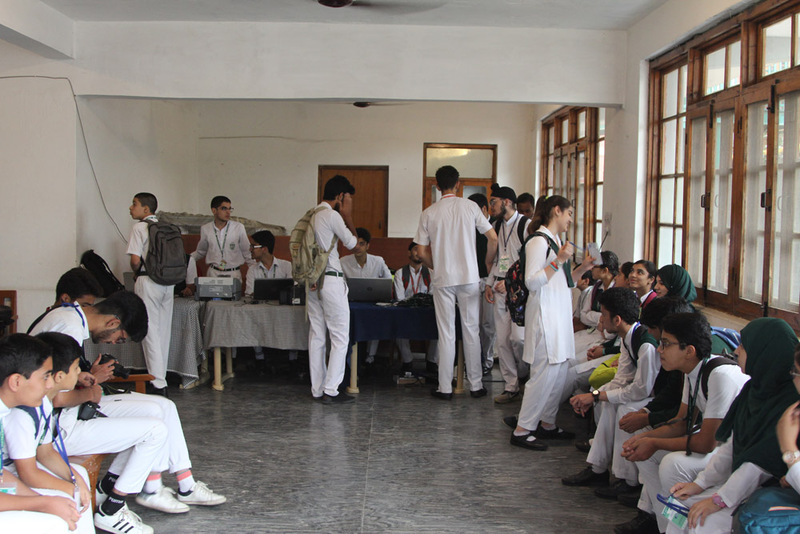 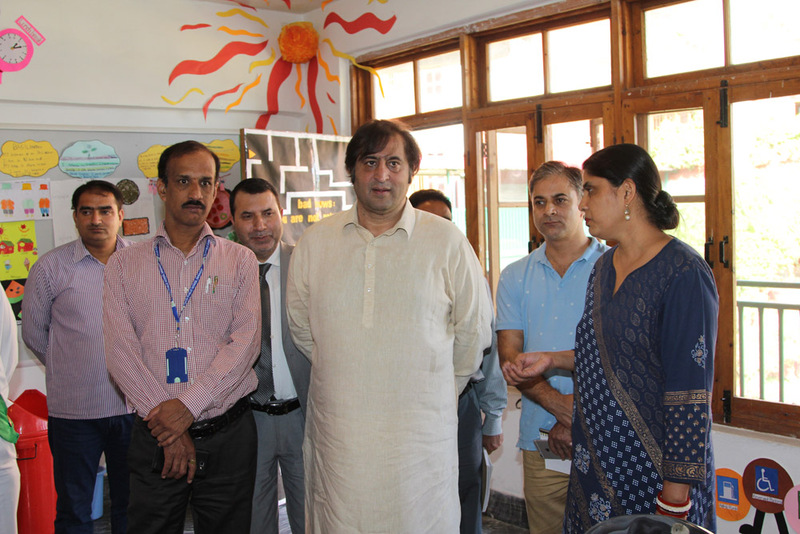 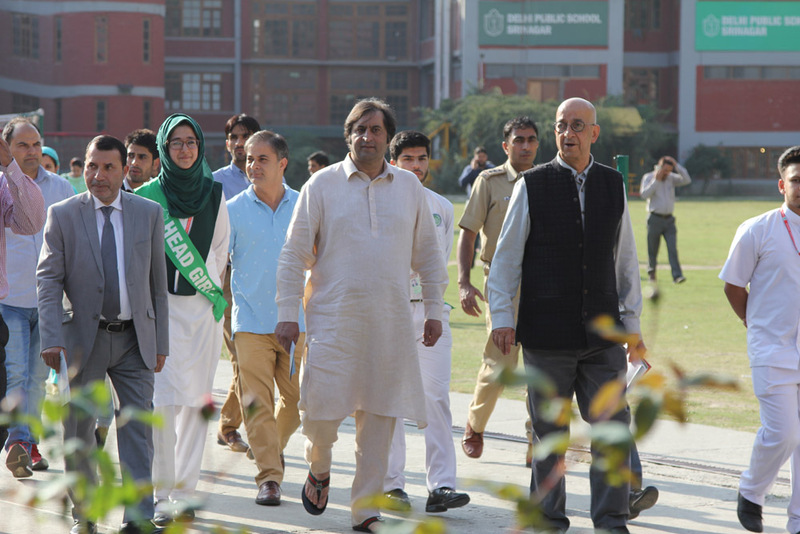 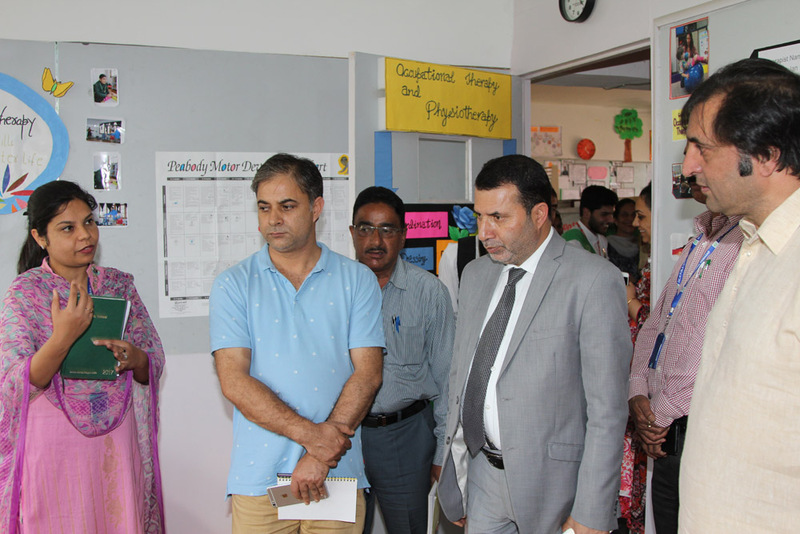 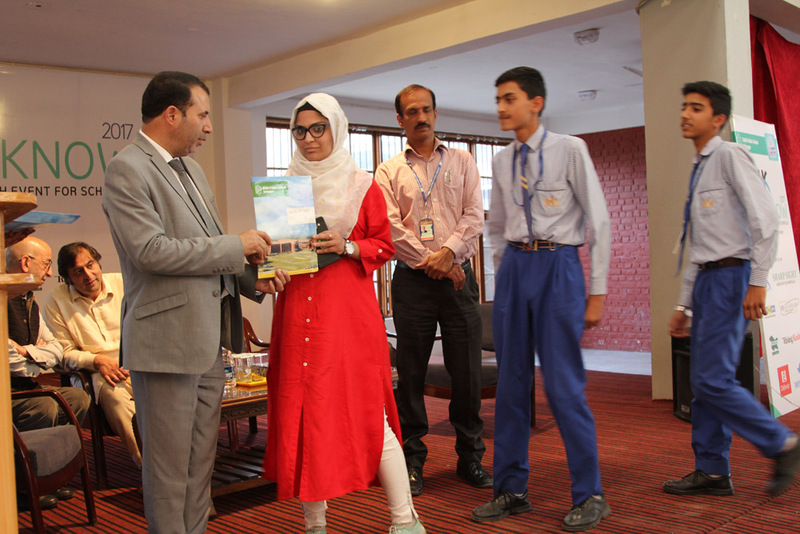 Vice Principal Ms. Shafaq Afshan welcomed the participating students of different schools. 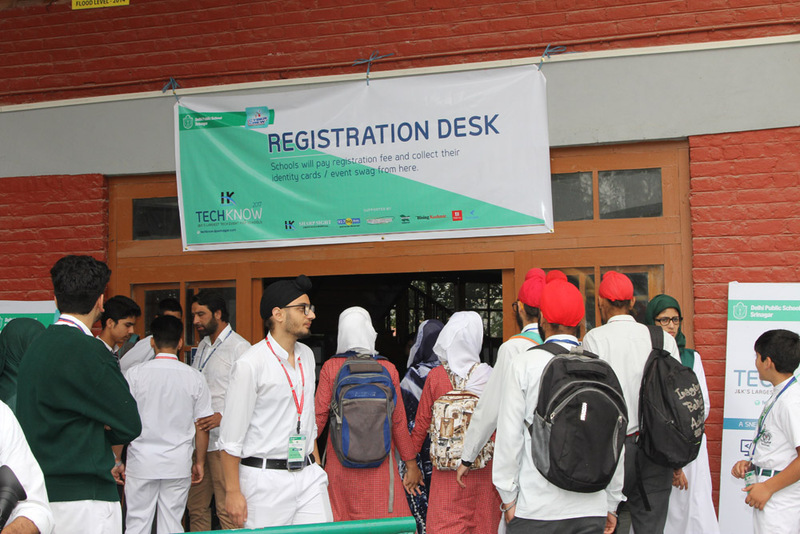 For students interested in tech, these kinds of events are an excellent way to get up to speed on the latest developments, find great new services, and get hands on training in one of the areas of his/her interest — plus, you never know how social connections will be established. 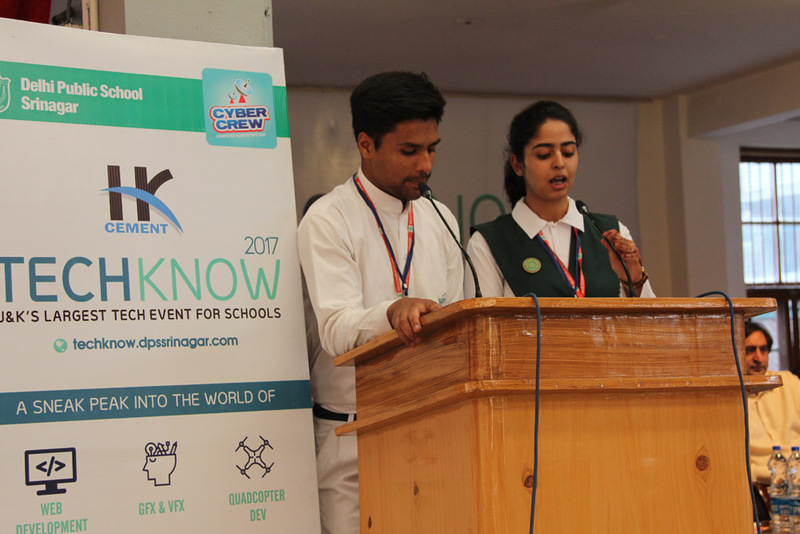 Day 1 of the event was attended by energetic and enthusiastic students from more than 30 leading schools from all over the state. 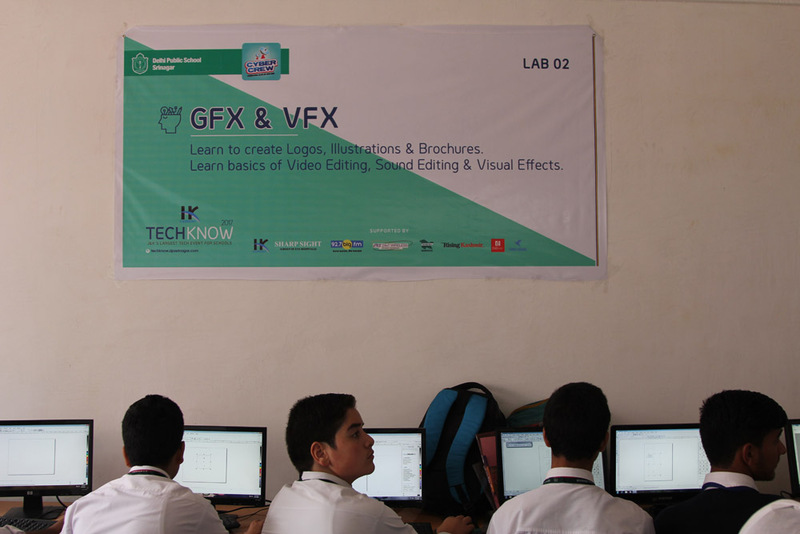 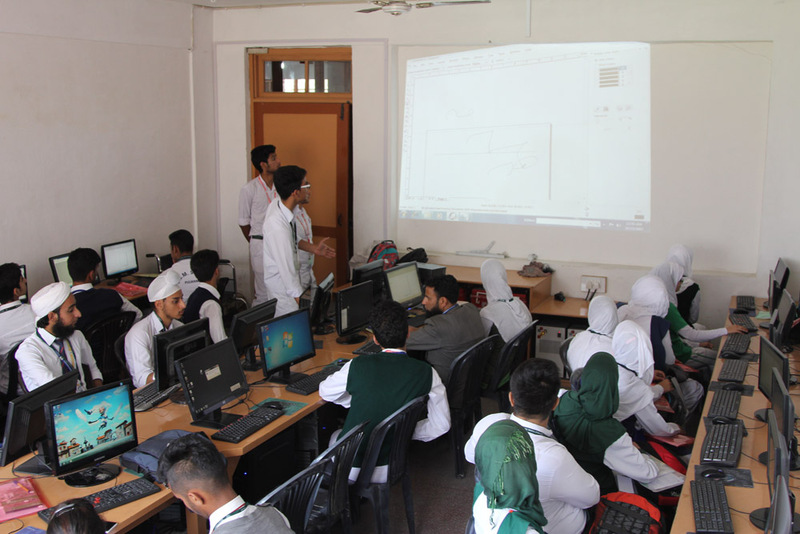 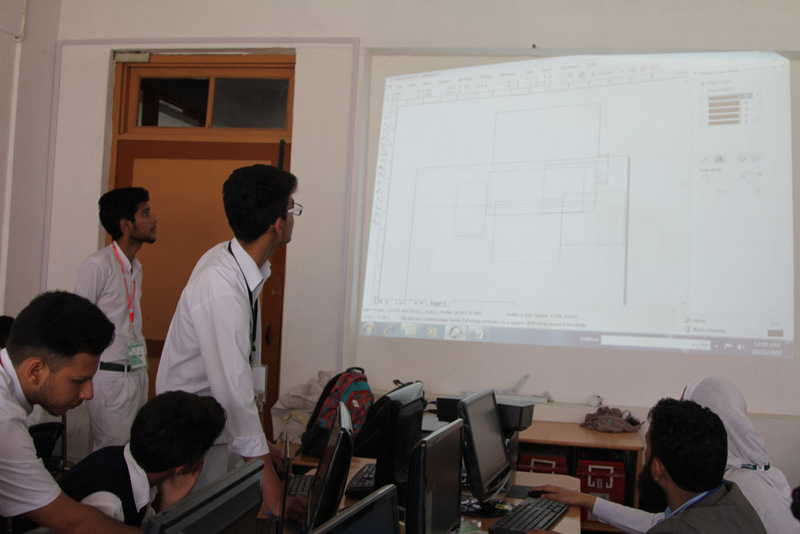 Around 430 students from Classes 6th to 12th are being imparted hands-on training in 5 different areas of technology consisting of Web Development, GFX & VFX, Quadcopter Development, Robotics and Hybrid App Development. 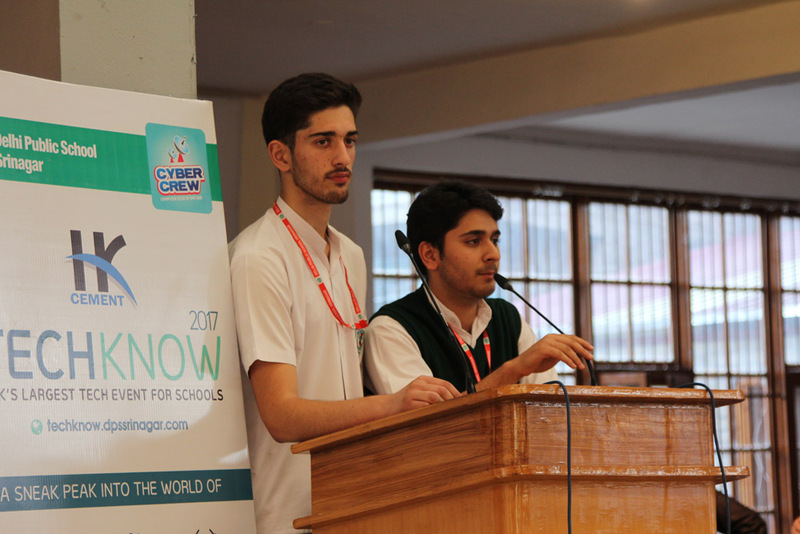 The event workshops are being conducted by Cyber Crew members with their insatiable desire of learning by sharing with similar minds. 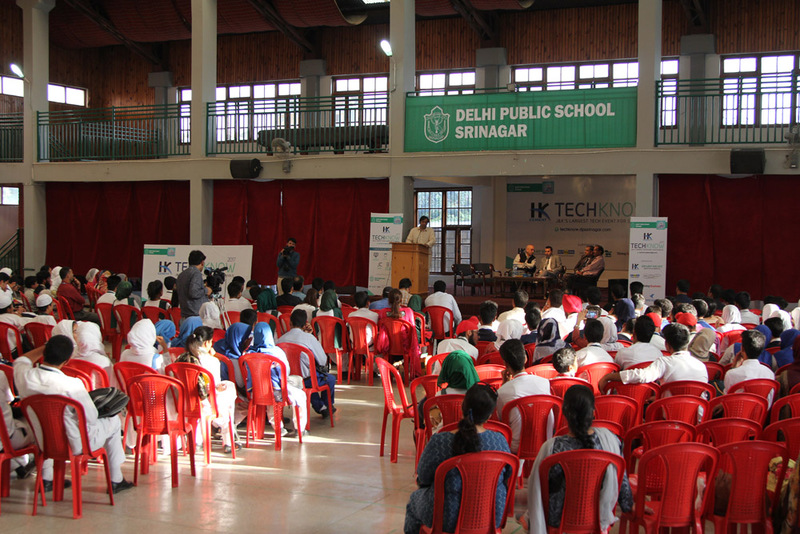 The event started with screening of 45-minute documentary on the Future of Technology. 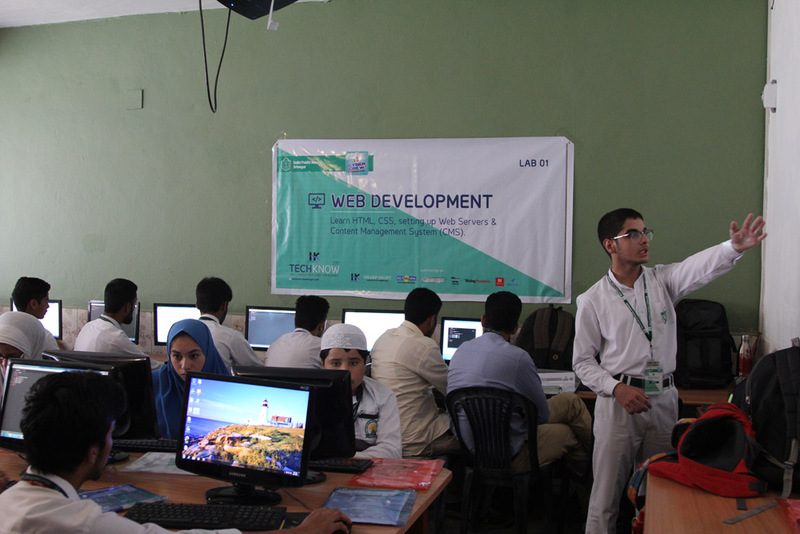 This was followed by day long workshops. 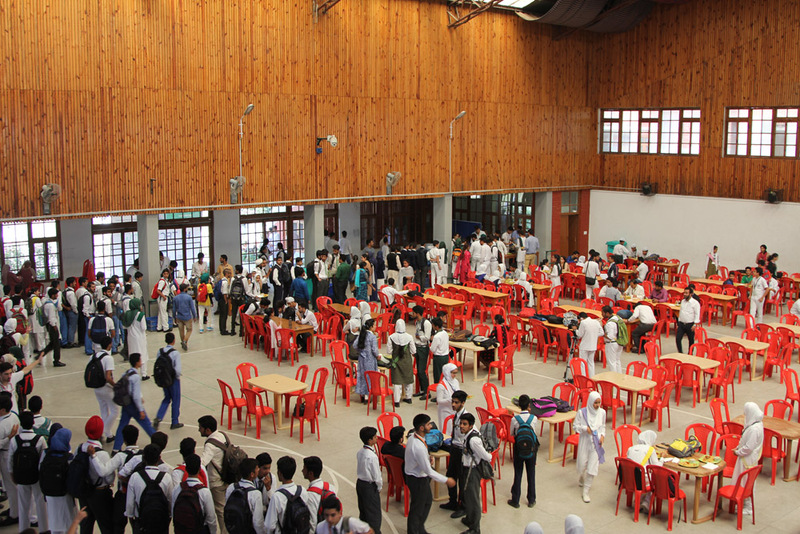 The event will continue till Tuesday 11 Sep, 2017. 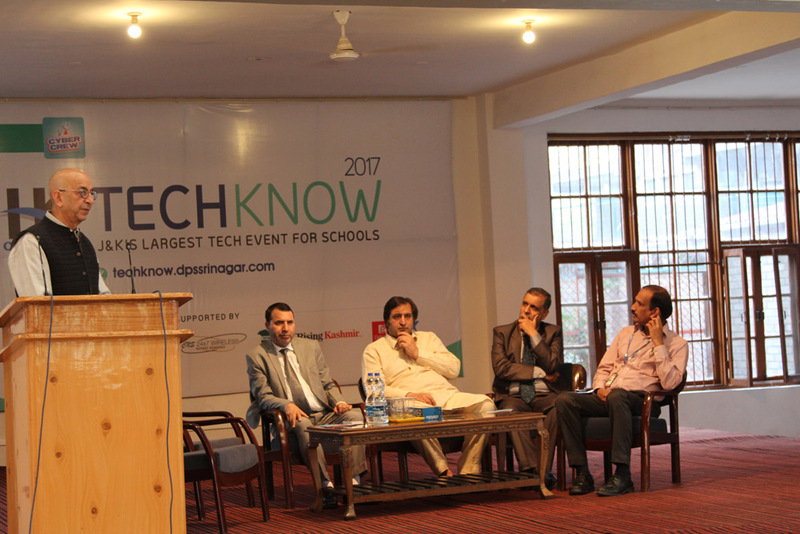 The second day of Techknow-2017 started with equal enthusiasm. 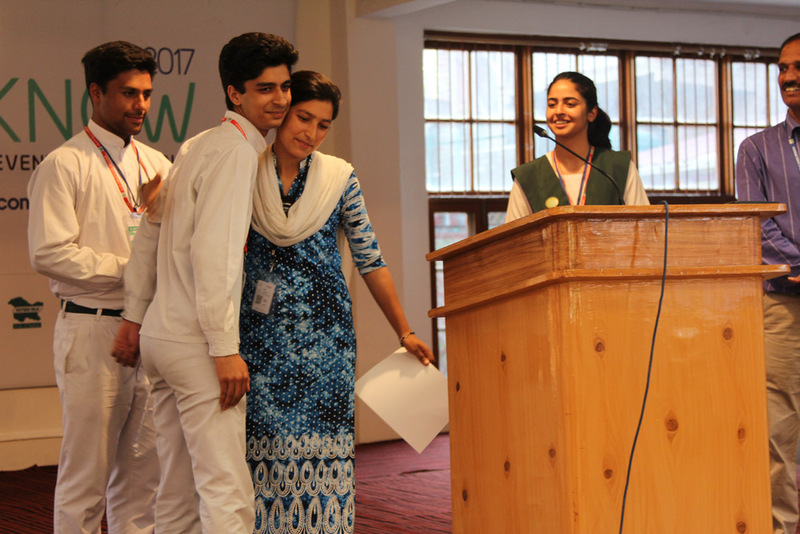 The workshops commenced and the participants showcased great exuberance with the student speakers being indistinguishable and competent. 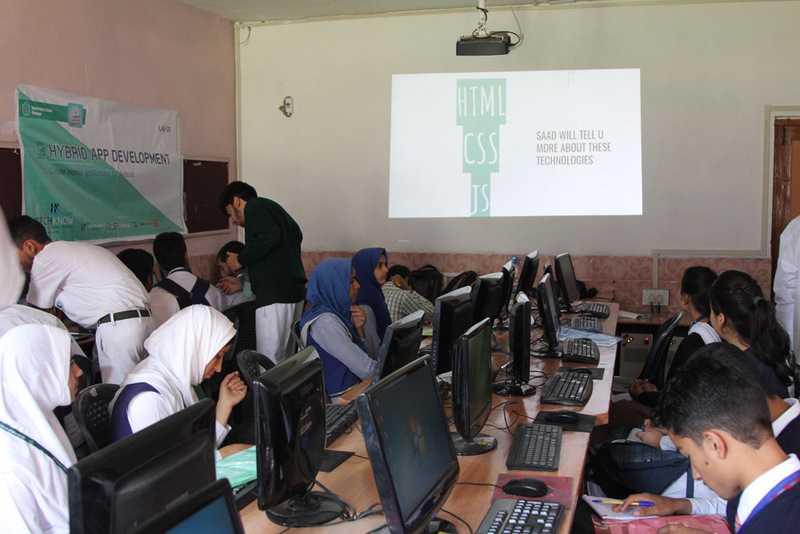 Similar to the first day, five workshops were held where the participants keenly took part in the learning experience. 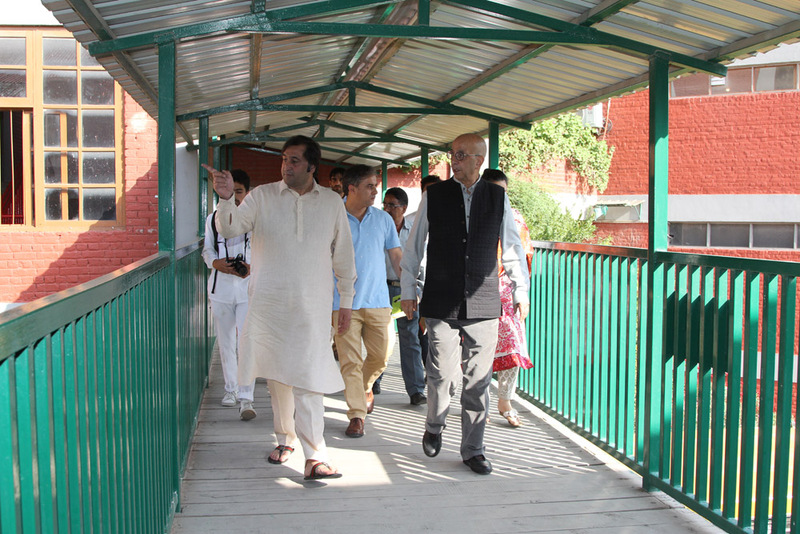 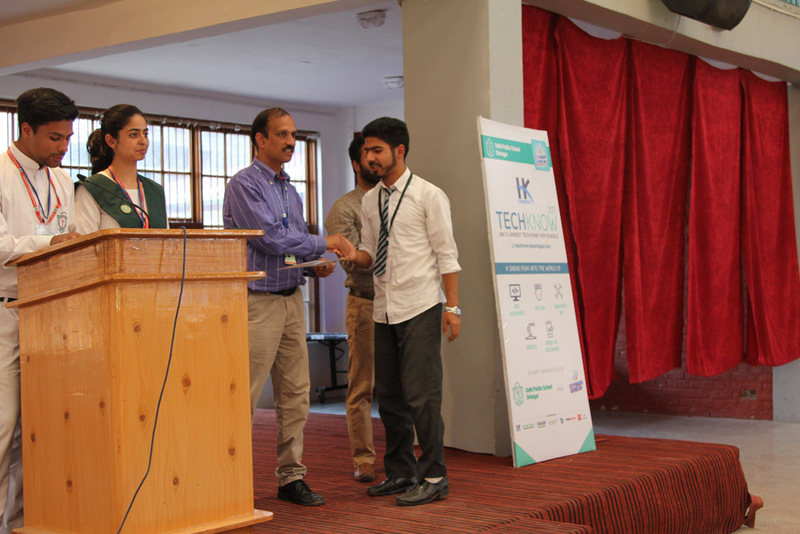 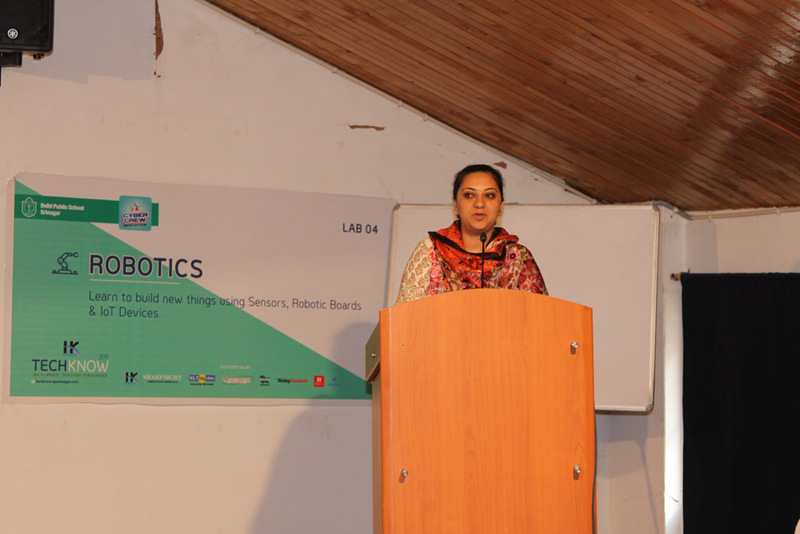 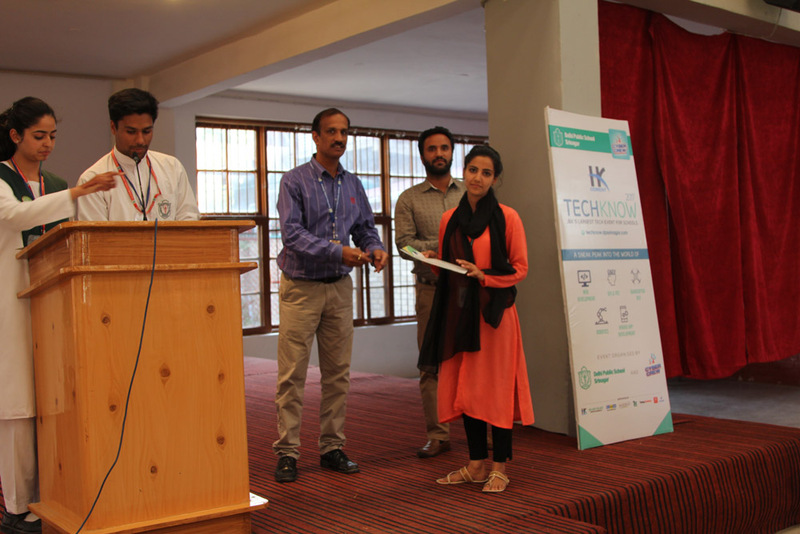 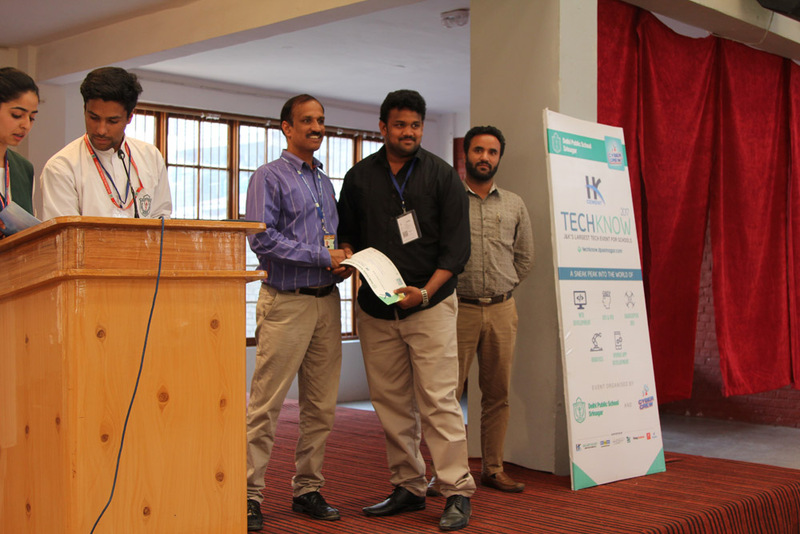 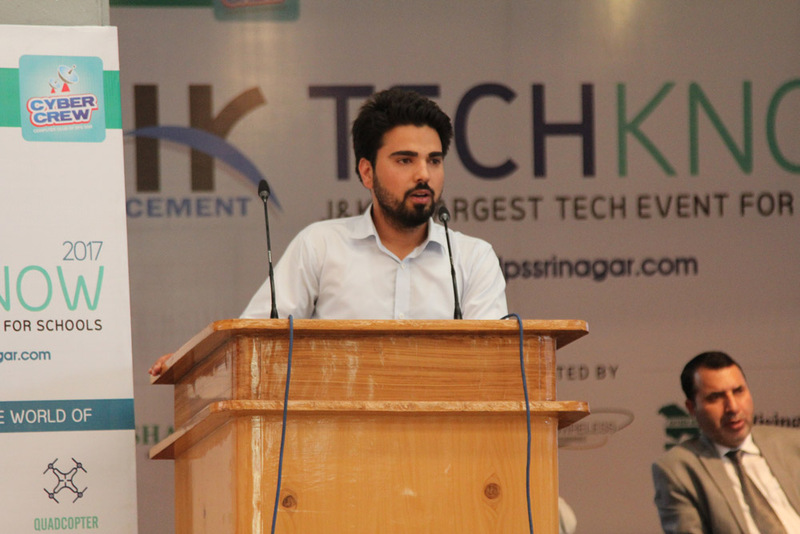 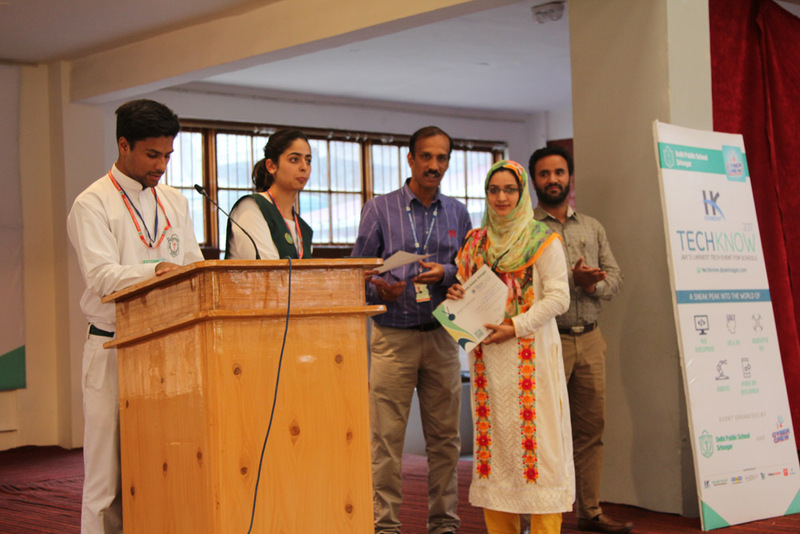 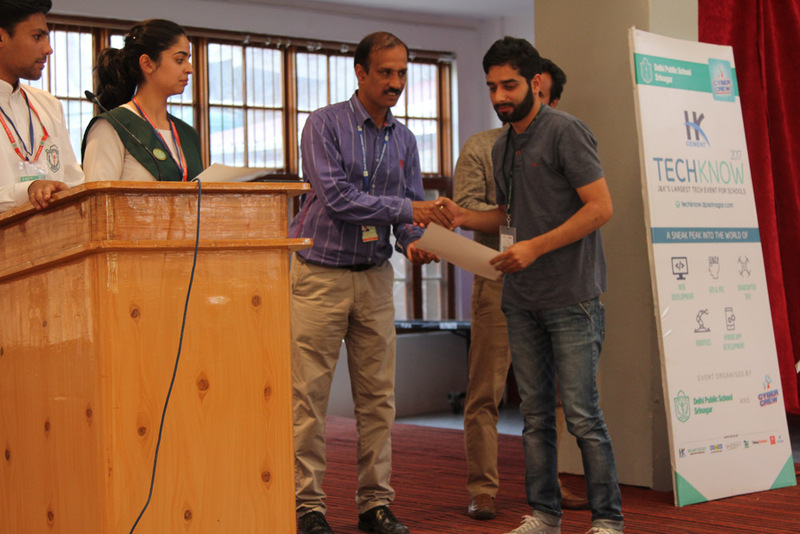 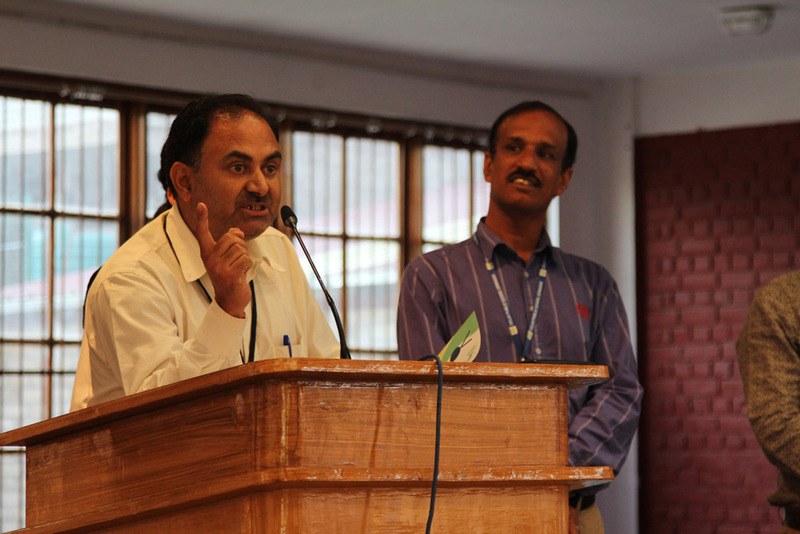 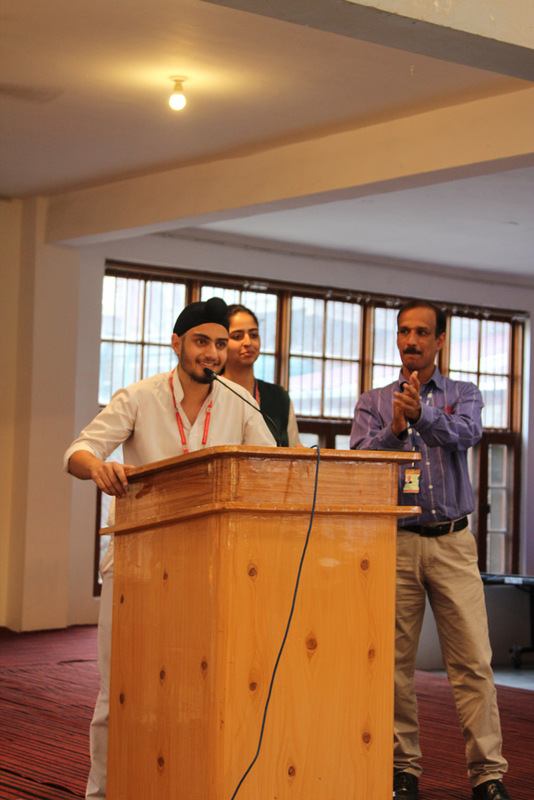 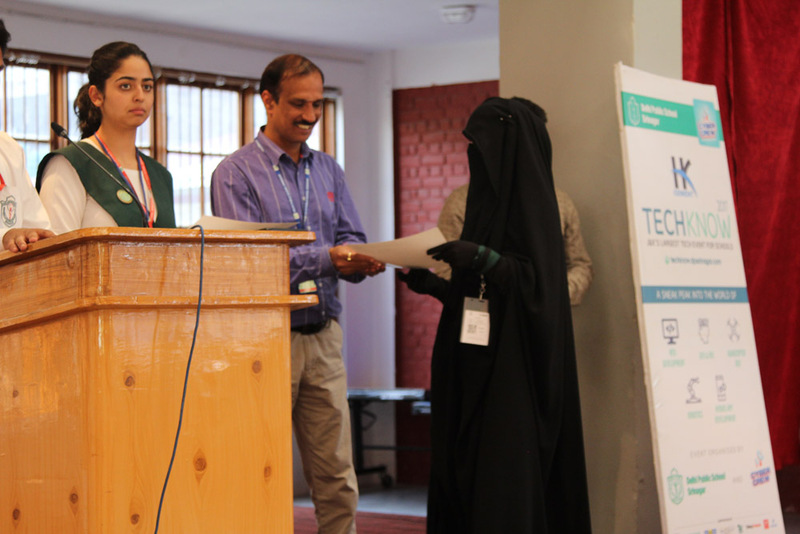 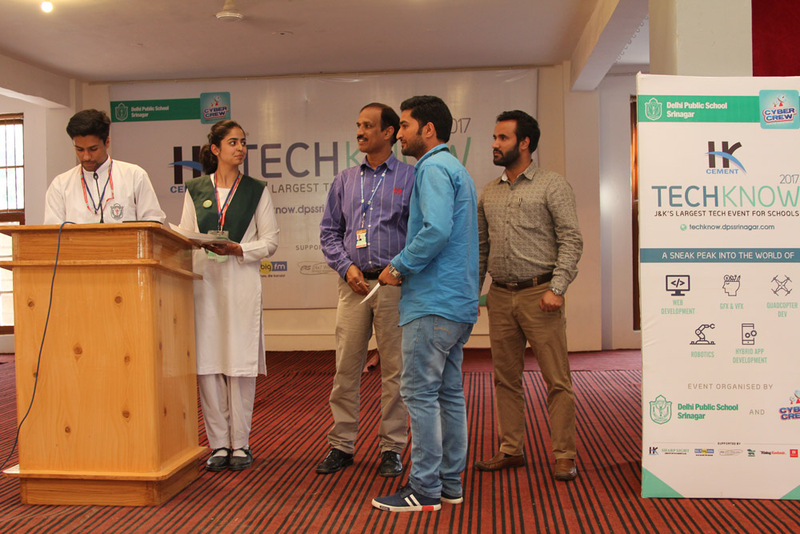 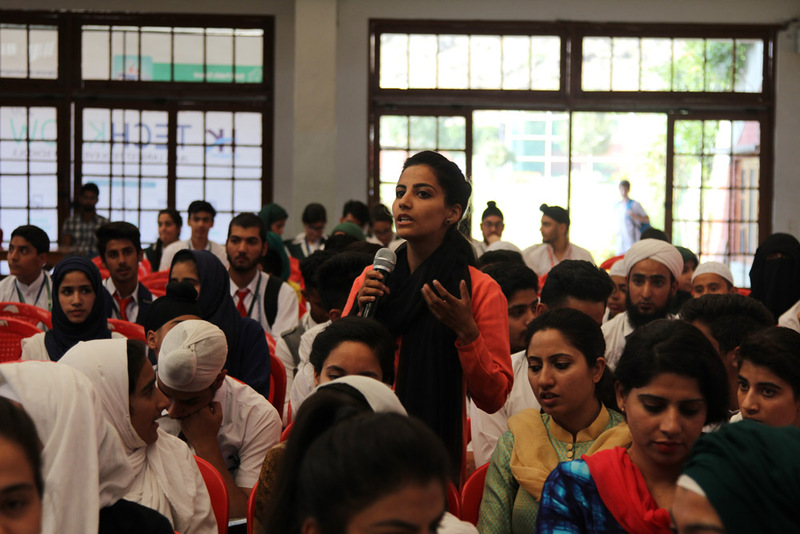 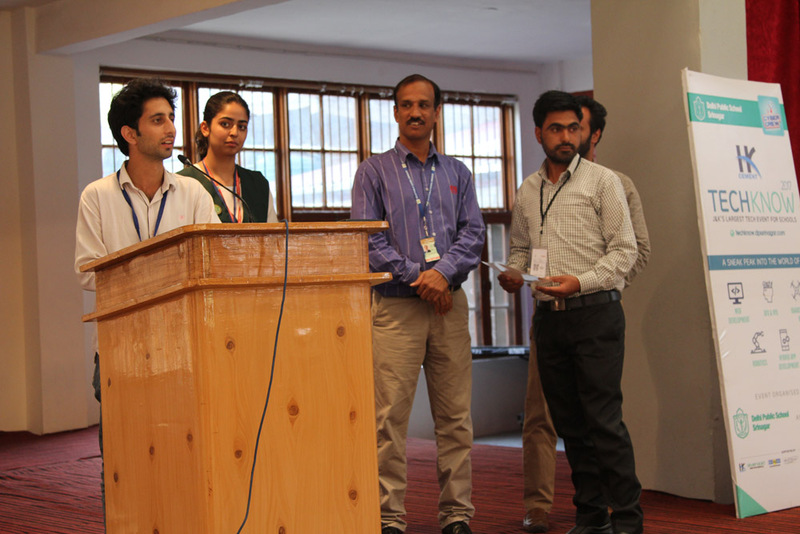 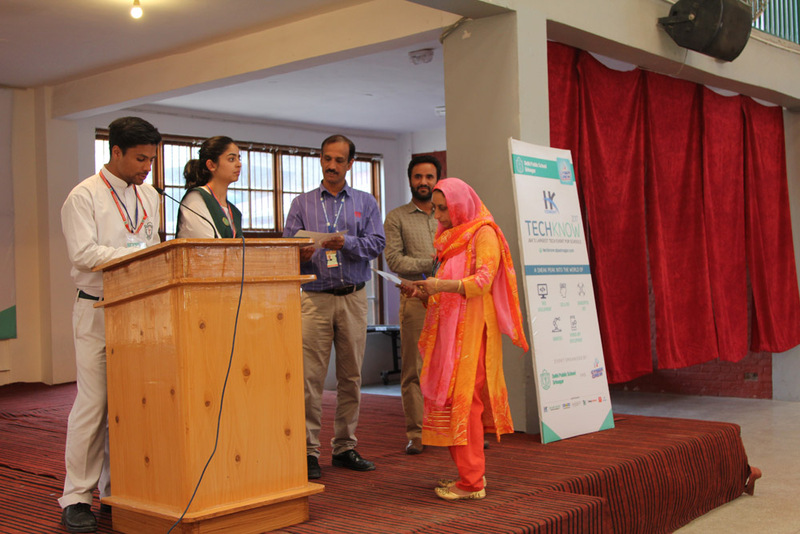 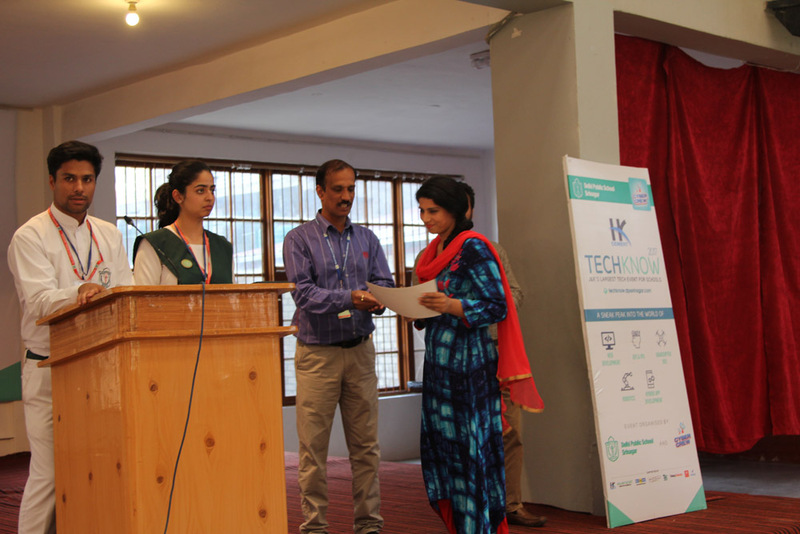 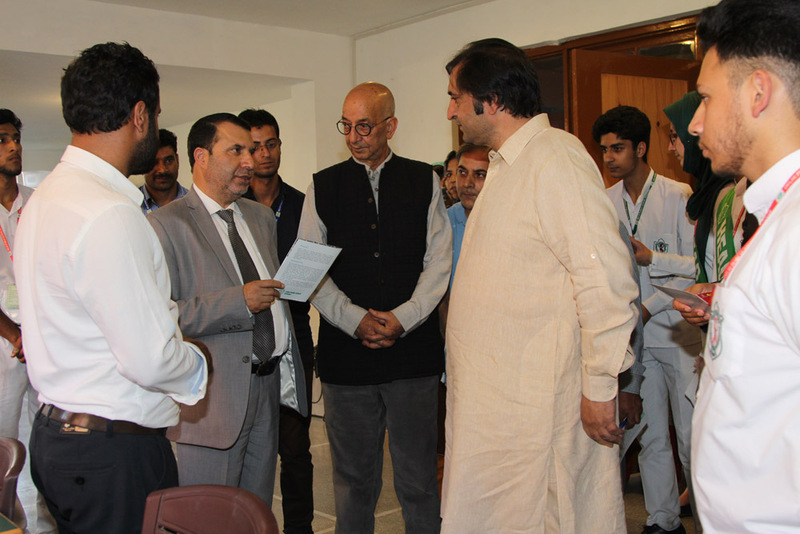 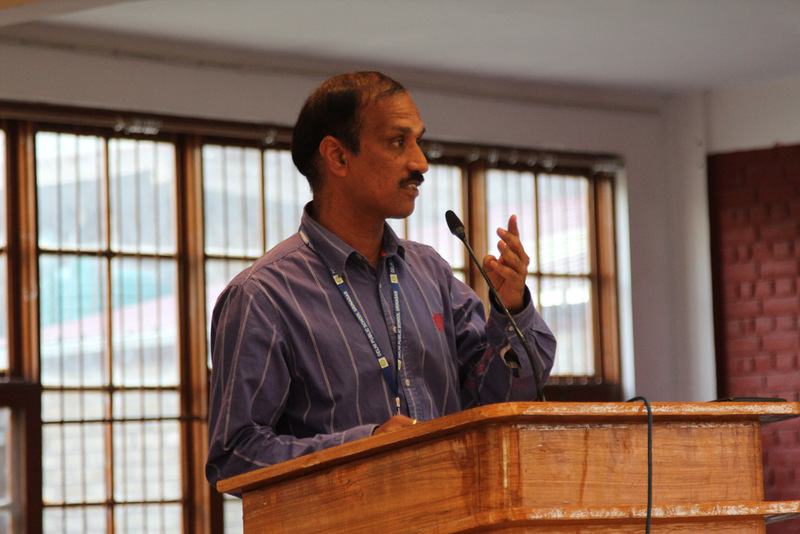 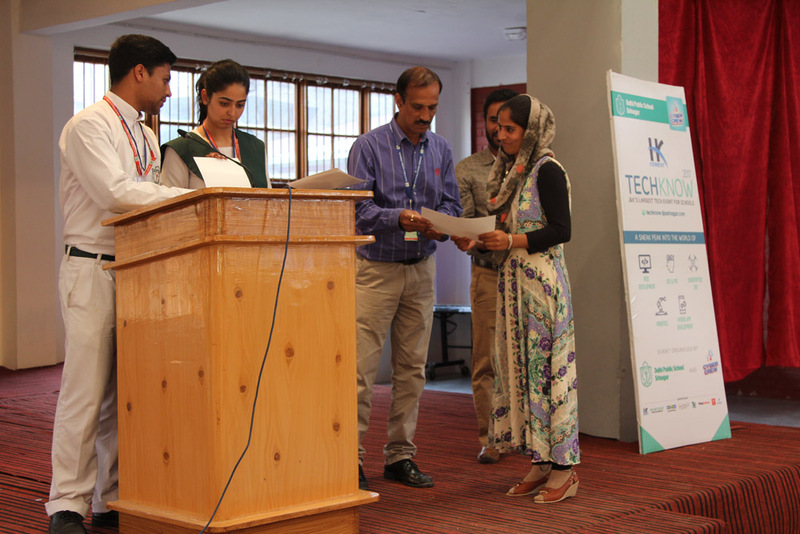 The participants’ feedback unfolded the significance of the two day Tech-Fest, indicating the success of the event. 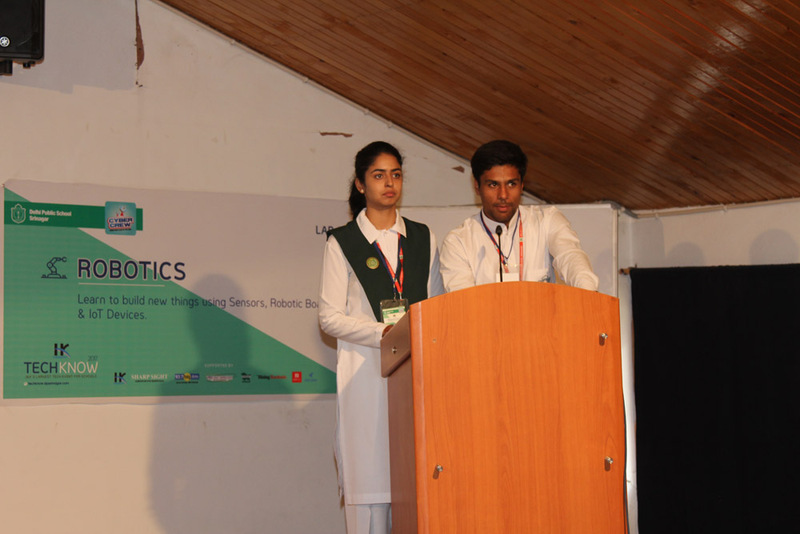 In robotics, the assemblage and working of the Quad-Copter was explained and showed to the participants. 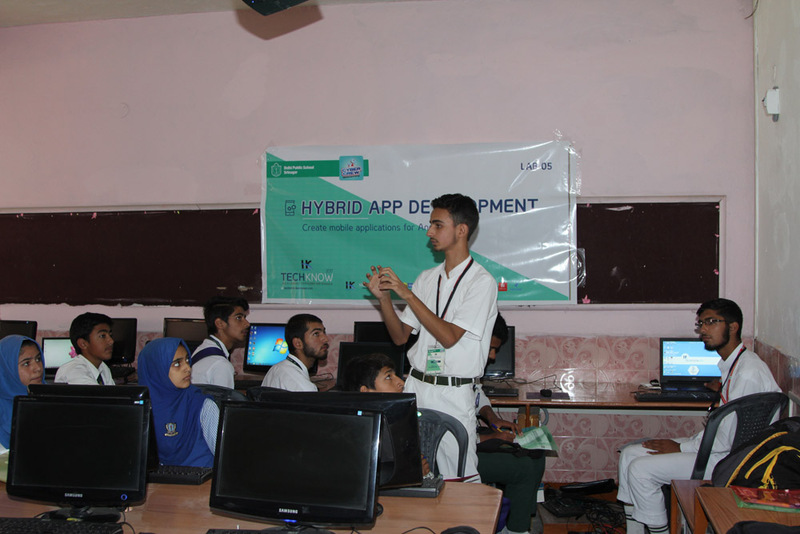 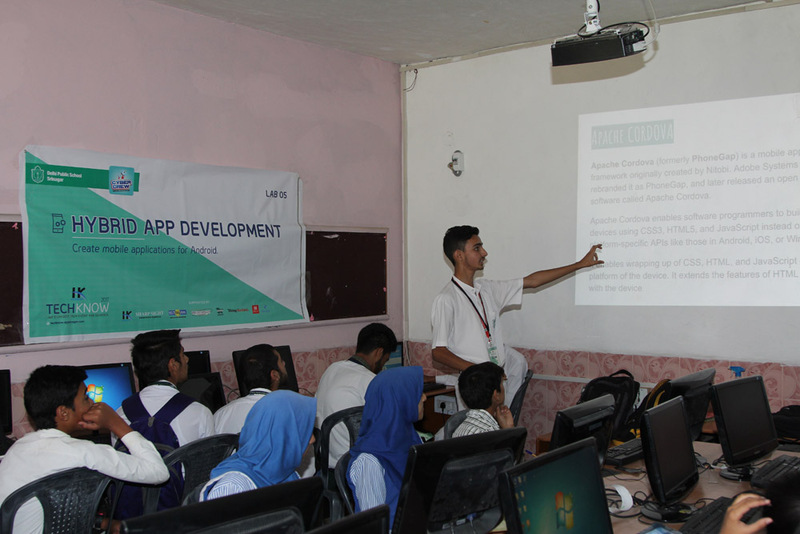 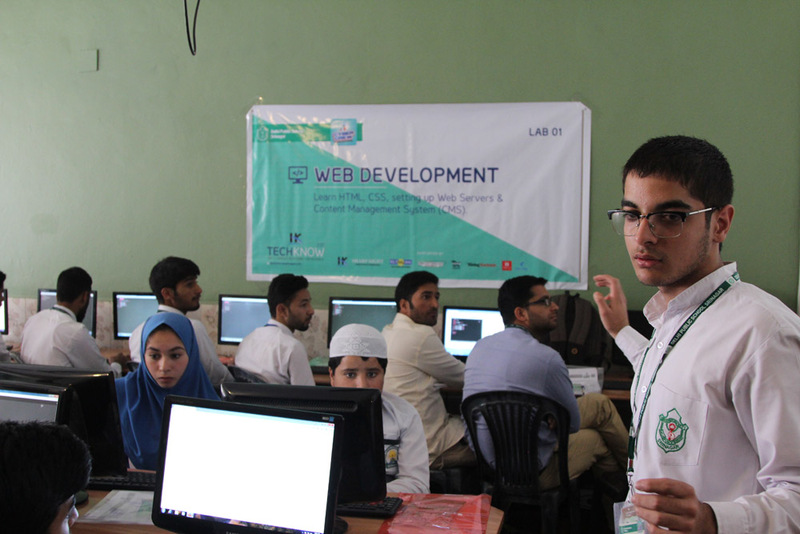 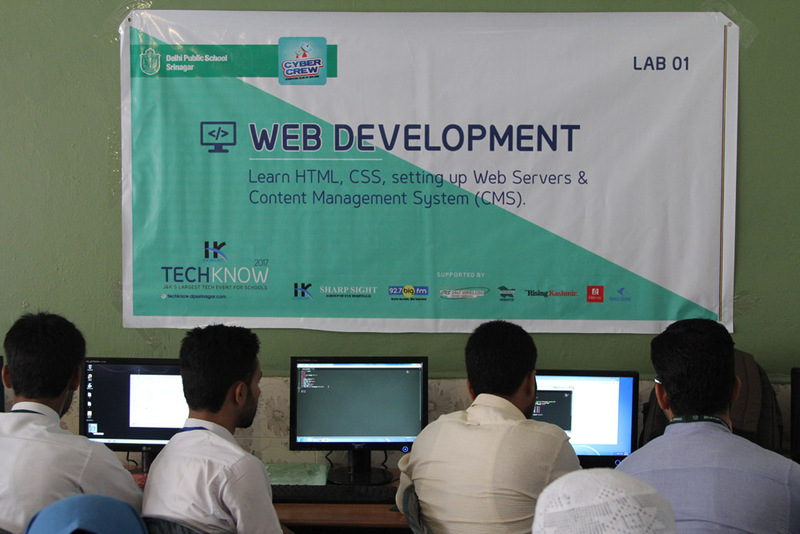 In addition the web development workshop was of great interest as the participants learned concepts behind developing creative internet platforms like Sarahah with is quite popular among teens. 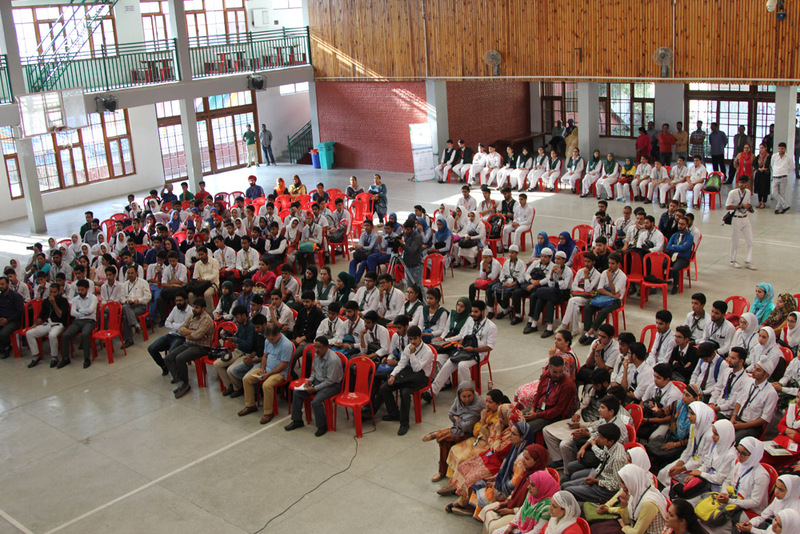 The event concluded with the quiz. 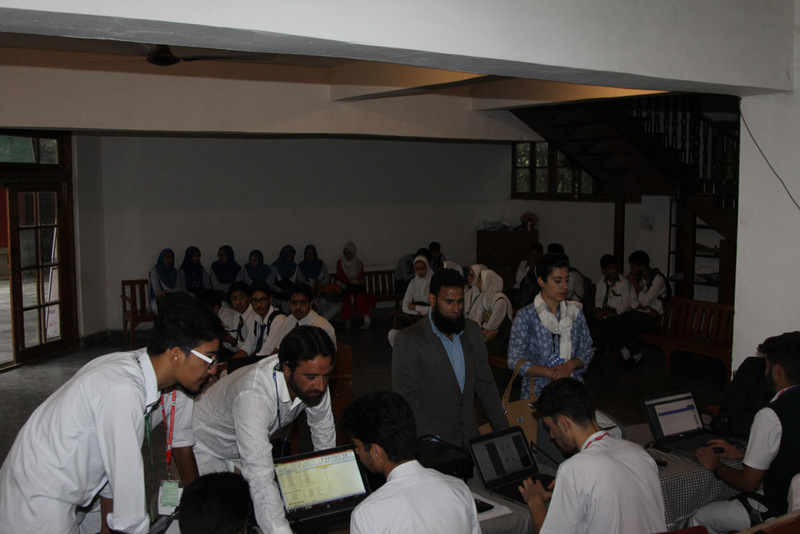 The day 2 concluded with a quiz in which goodies were distributed to the participants who answered the questions with full enthusiasm. 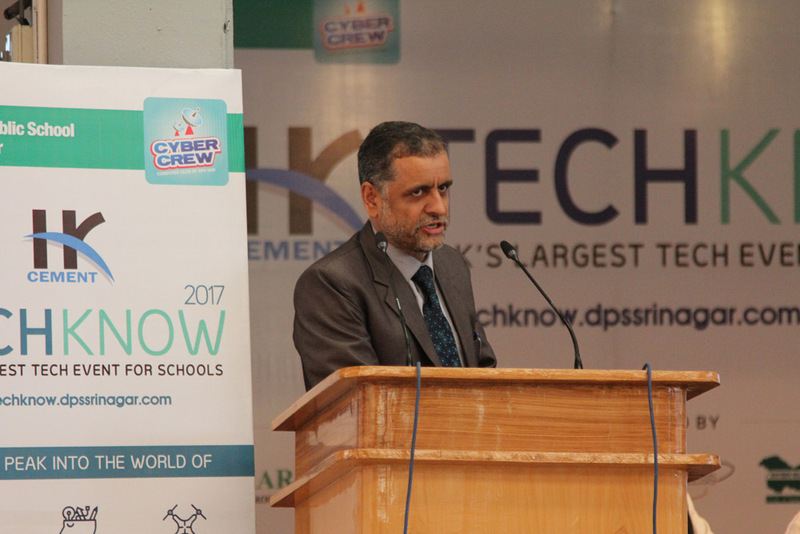 The principal gave a speech wherein he highlighted the importance of Technology and also congratulated CyberCrew for organizing the event. 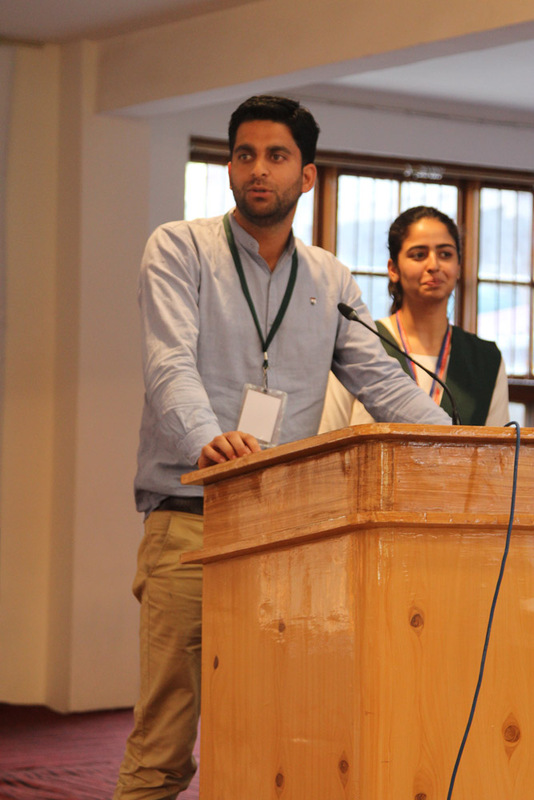 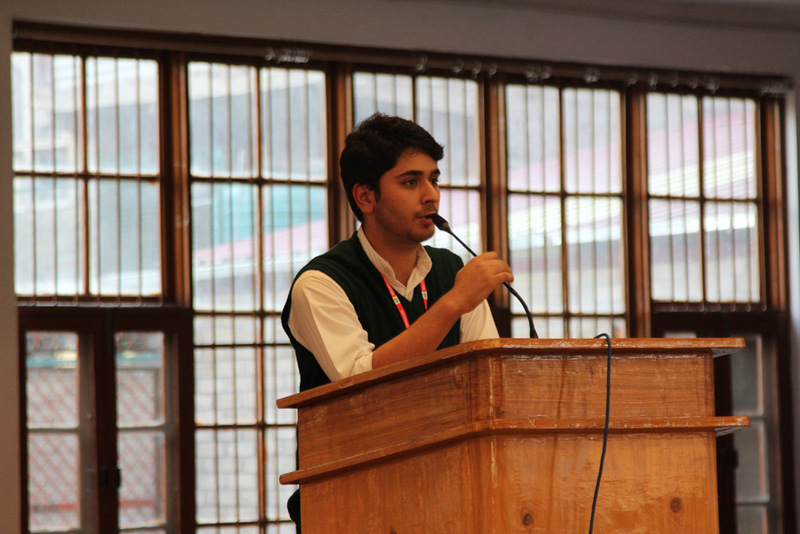 The closing speech was given by Muazzam Khursheed wherein he thanked all the participants and the school staff for their unrelenting support.